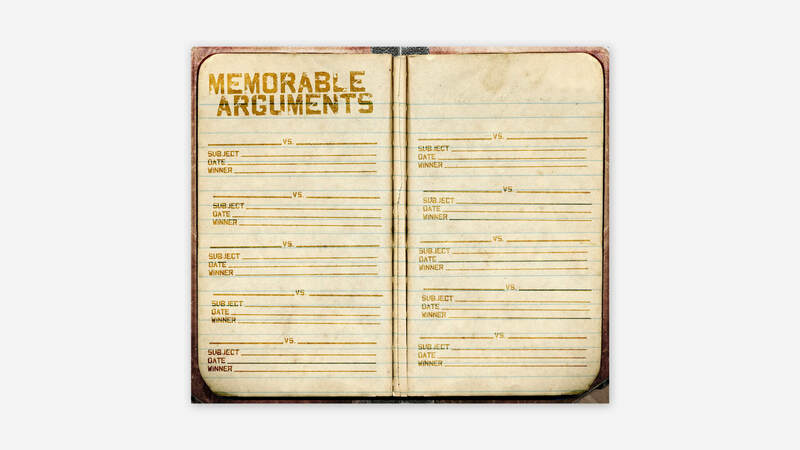 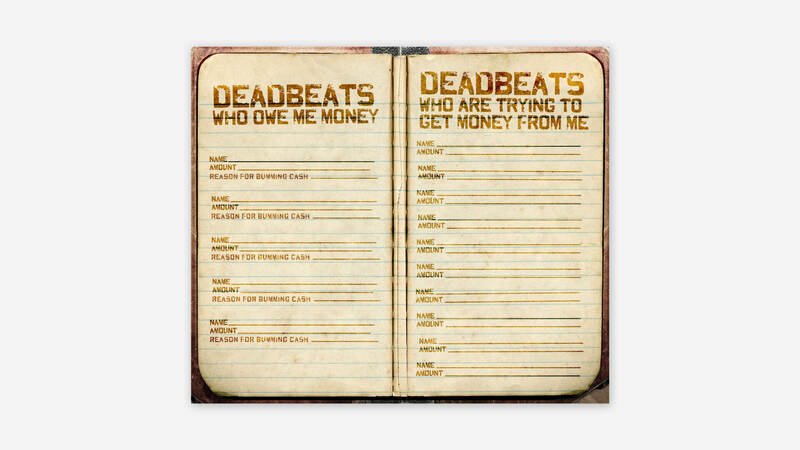 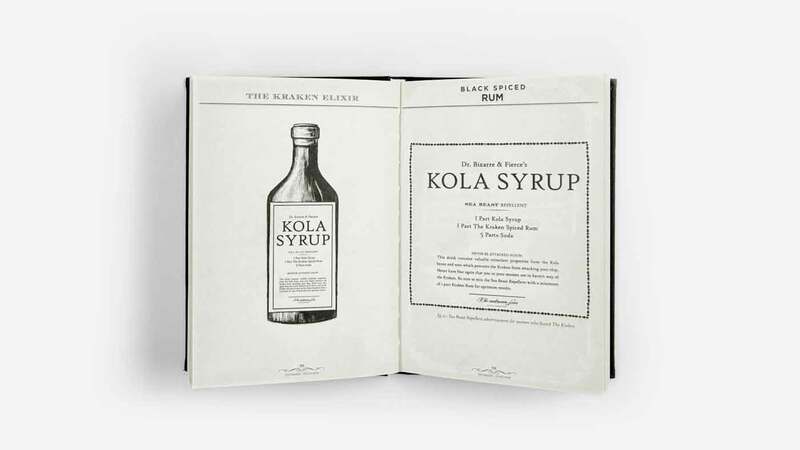 For over 10 years DEAD AS WE KNOW IT has made products famous by building irresistible brand worlds. 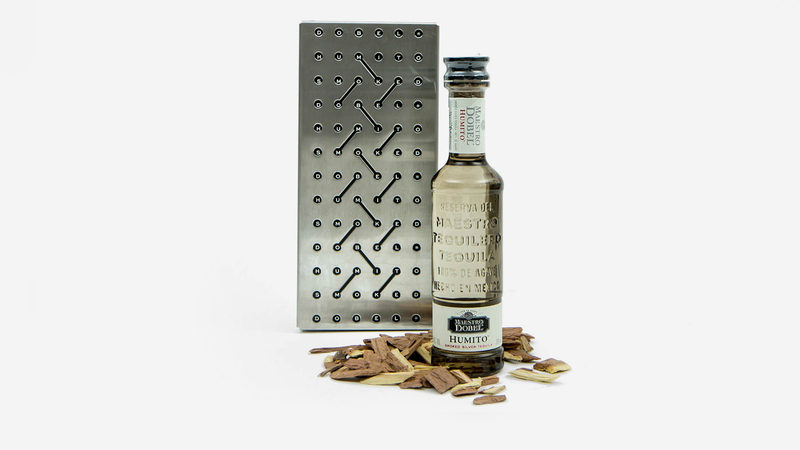 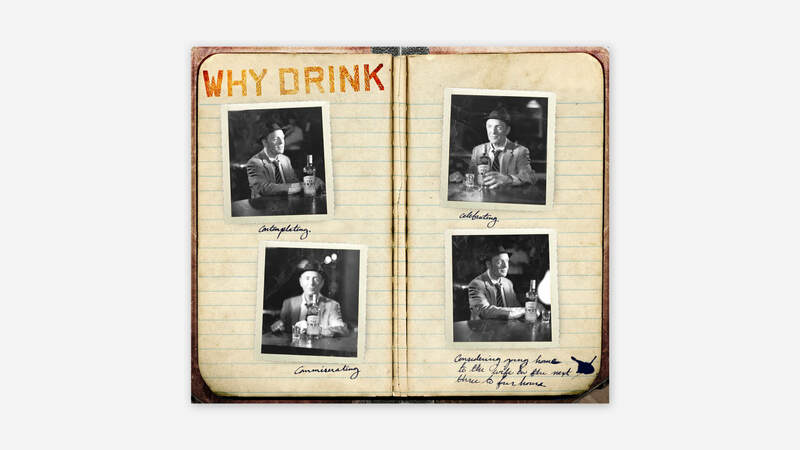 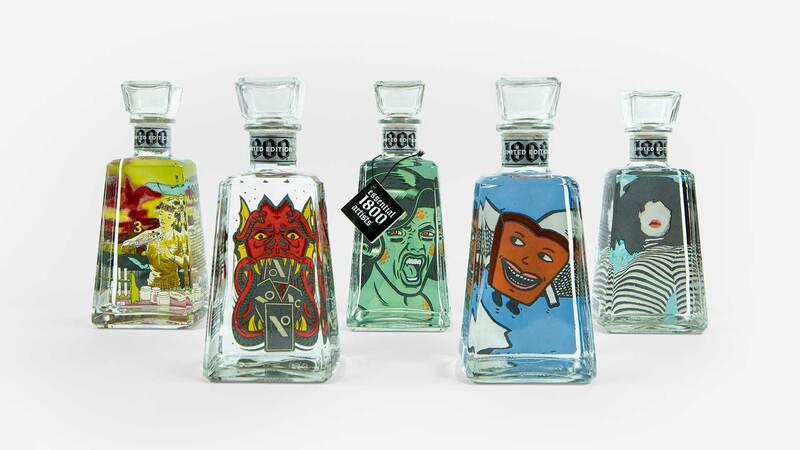 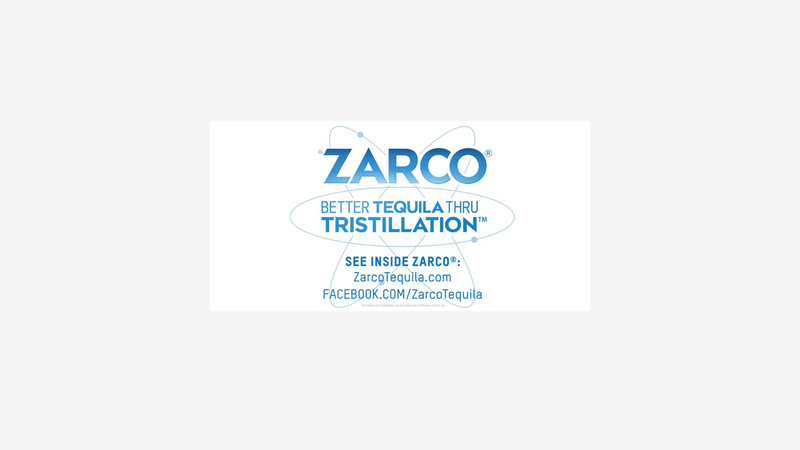 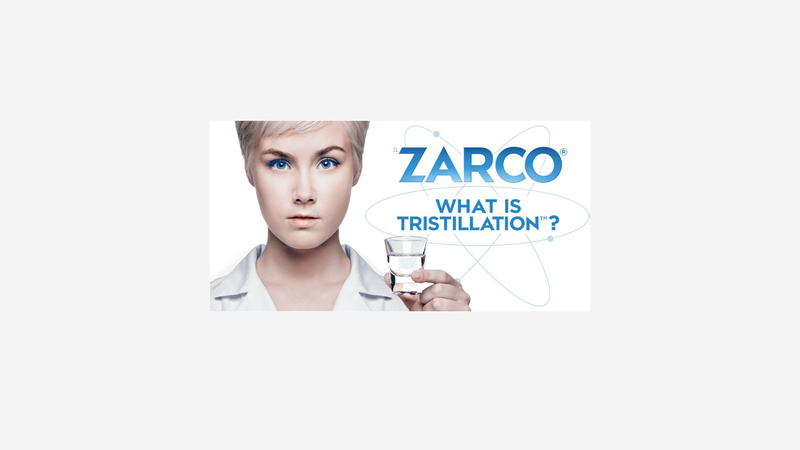 To create Zarco’s brand world, we turned conventional “hand-crafted” wisdom on its ear by designing a universe in which the best tequila is cloned in an immaculate lab. 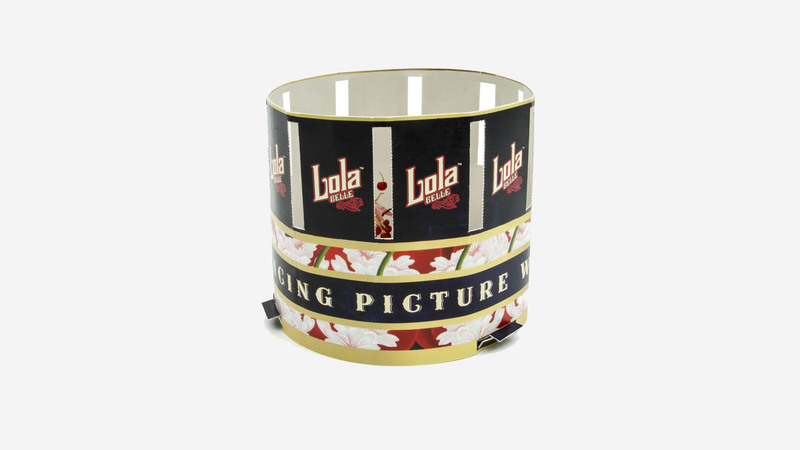 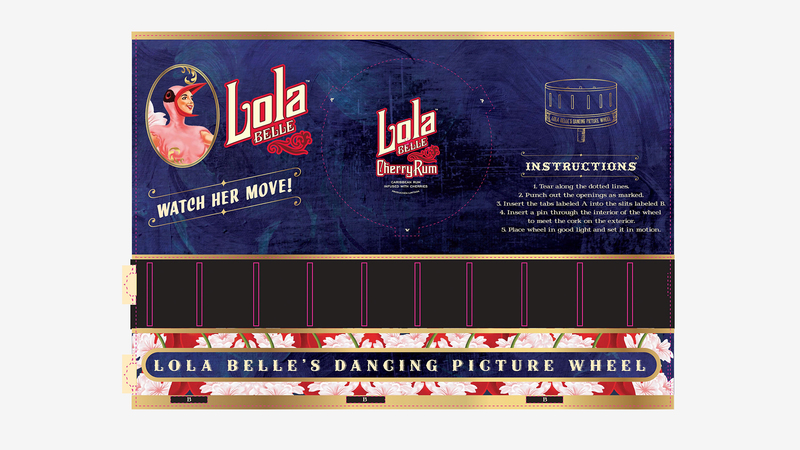 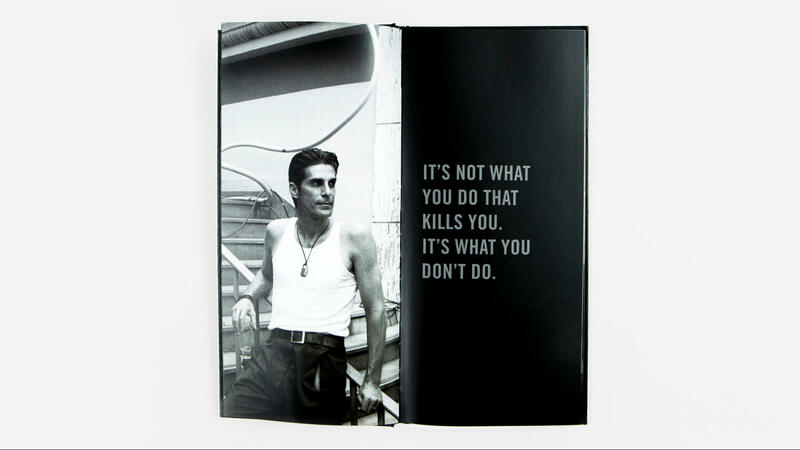 We activated Lola’s retro-cool brand world with collateral from the golden age of (almost) moving pictures. 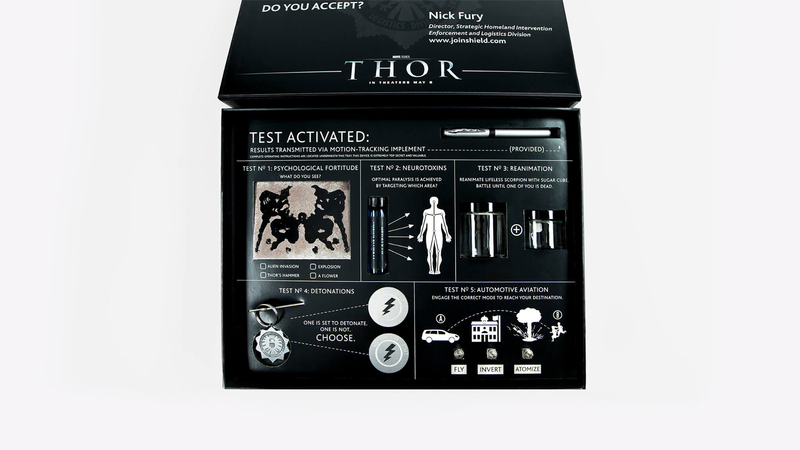 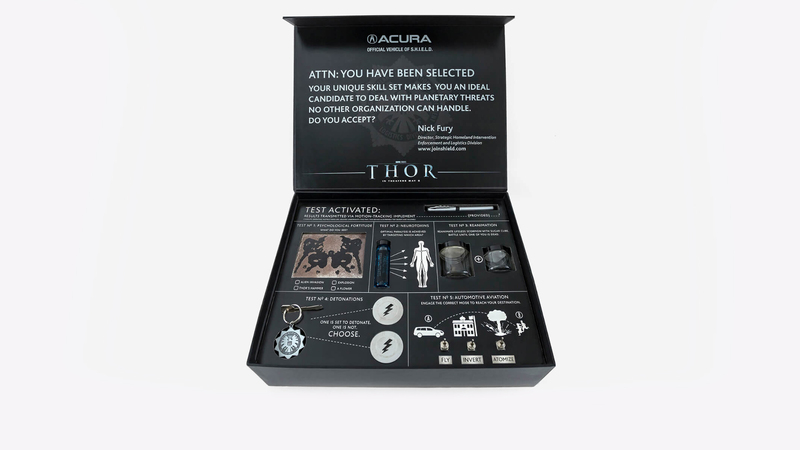 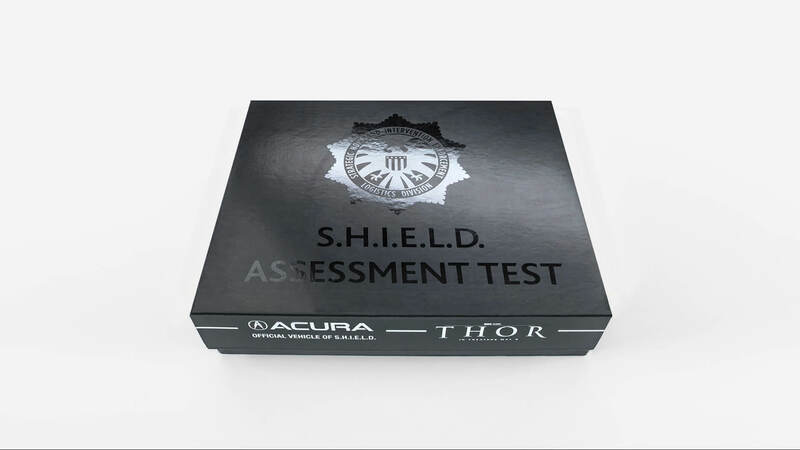 We didn’t set out to create a bomb scare with this press kit promoting Acura’s sponsorship of “THOR,” but no one complained when it generated millions in earned media. 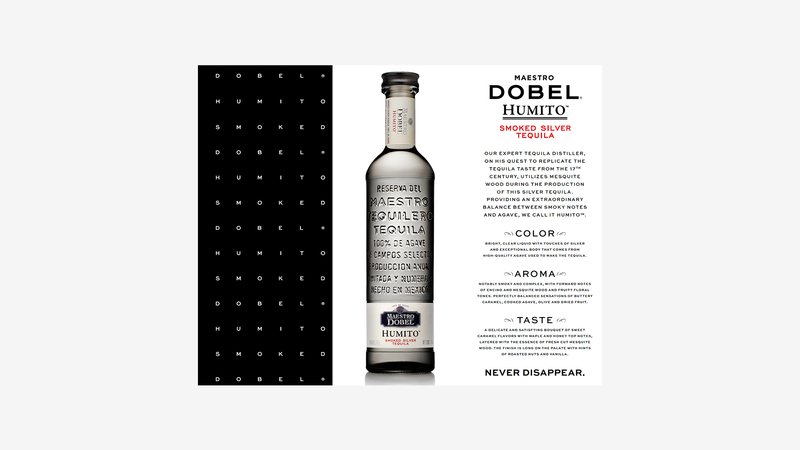 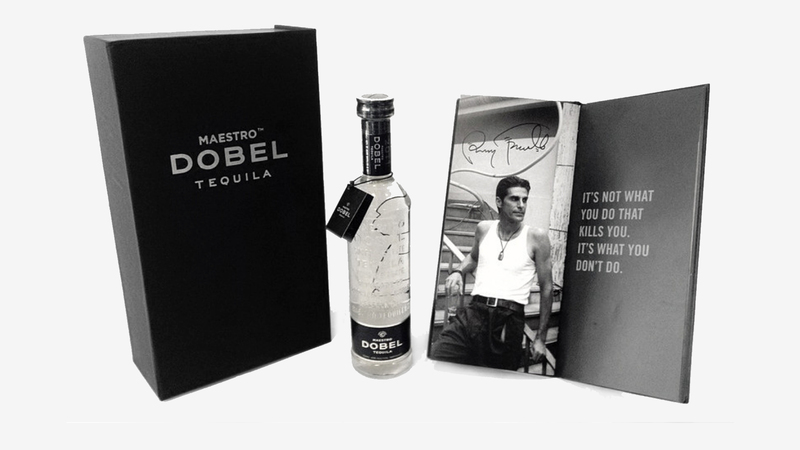 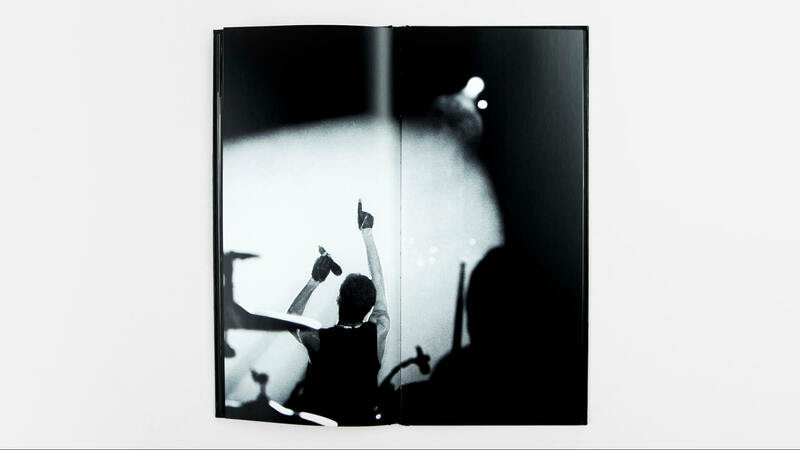 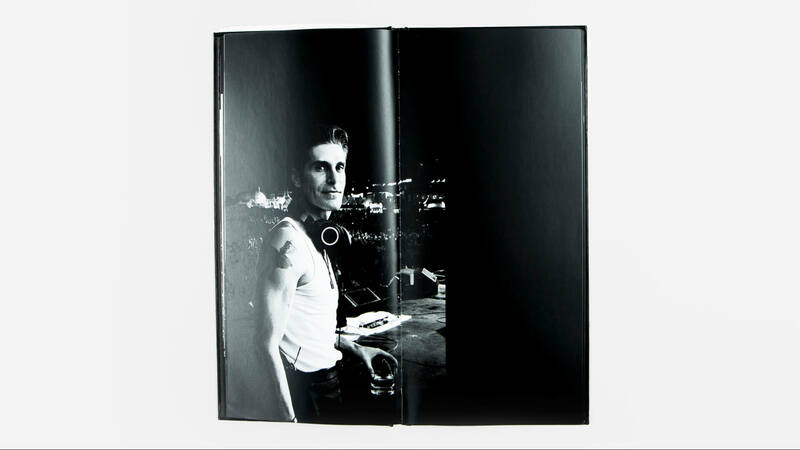 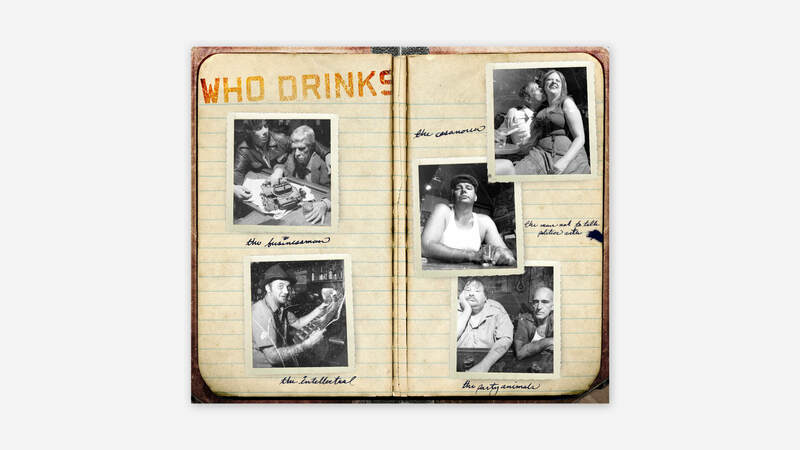 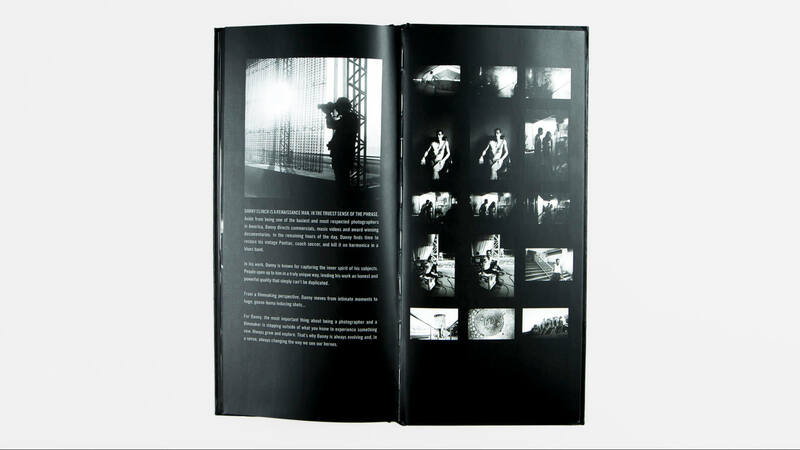 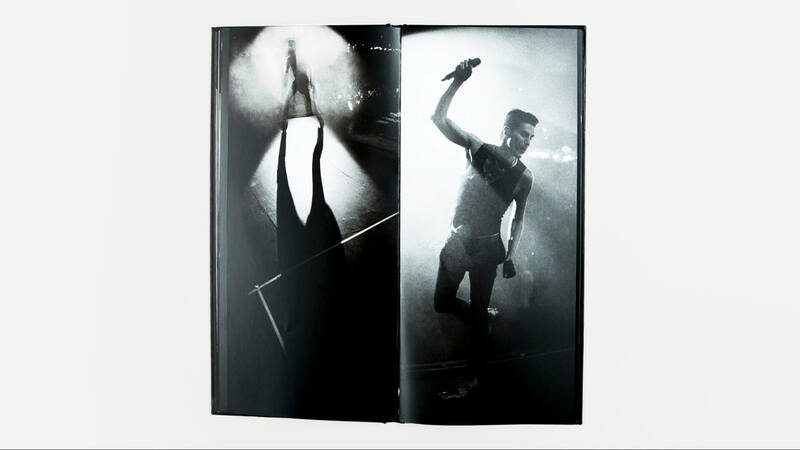 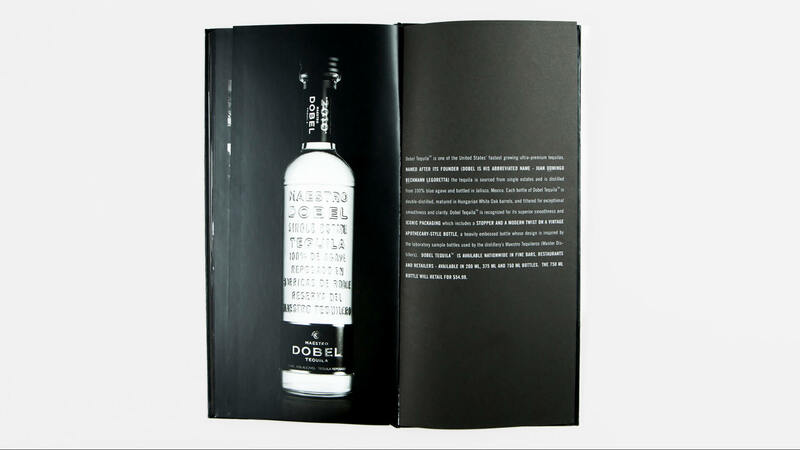 Shot by legendary rock photographer Danny Clinch, this campaign combined the two sides of the Dobel brand world: maestro and rebel. 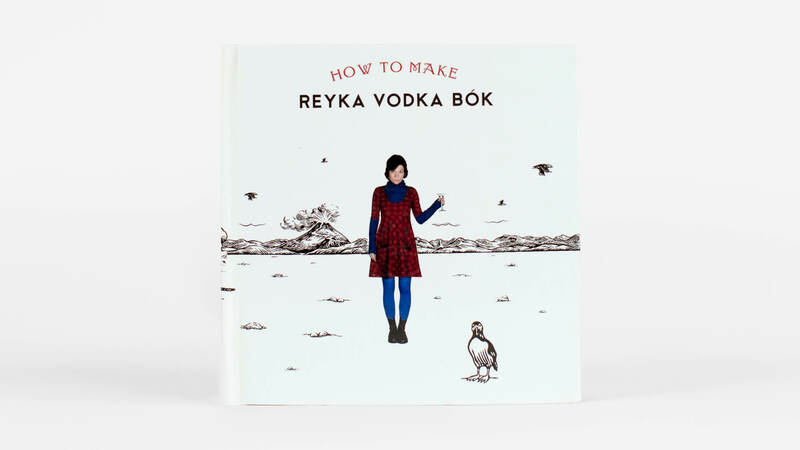 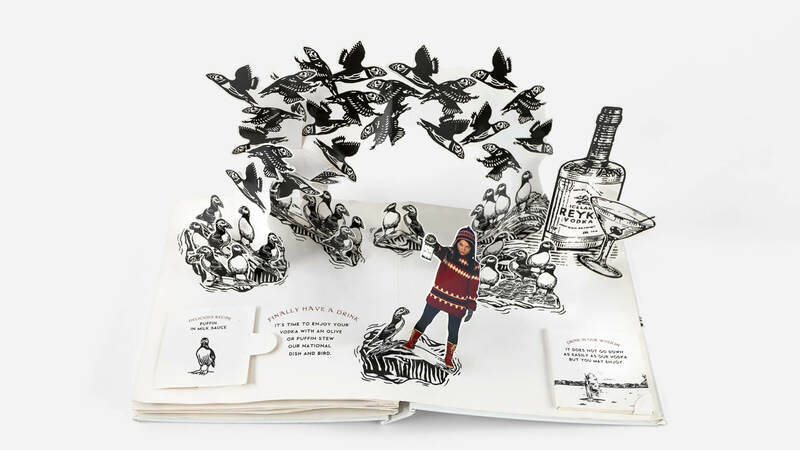 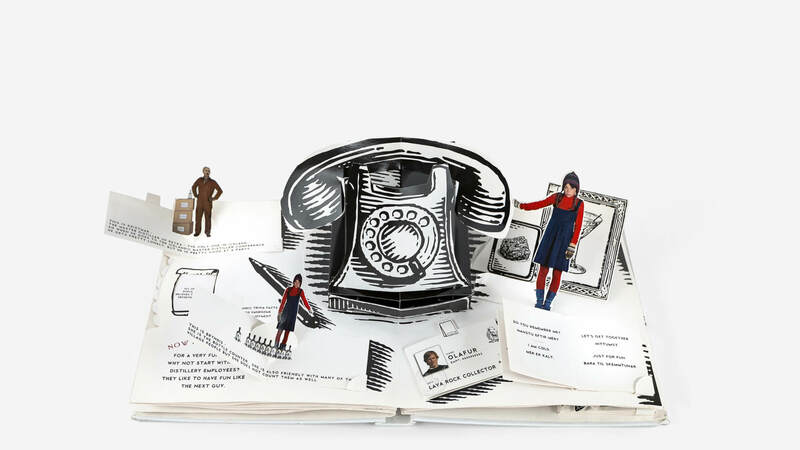 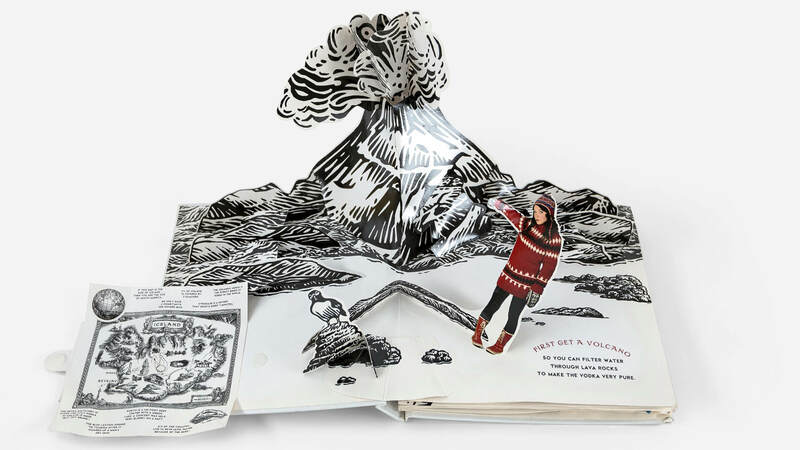 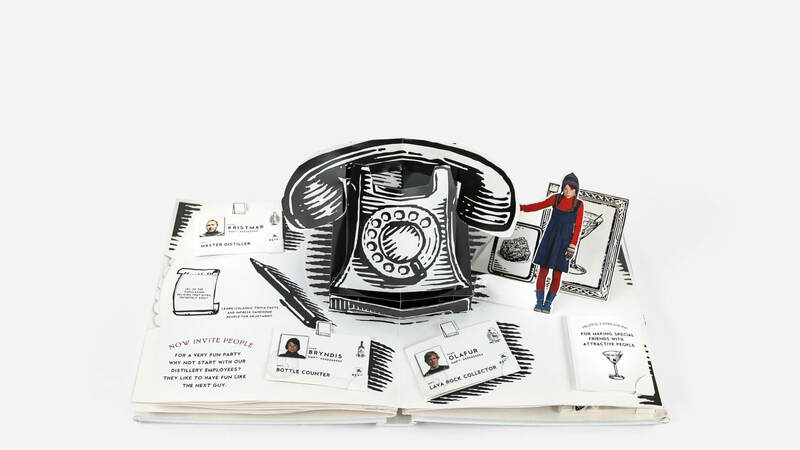 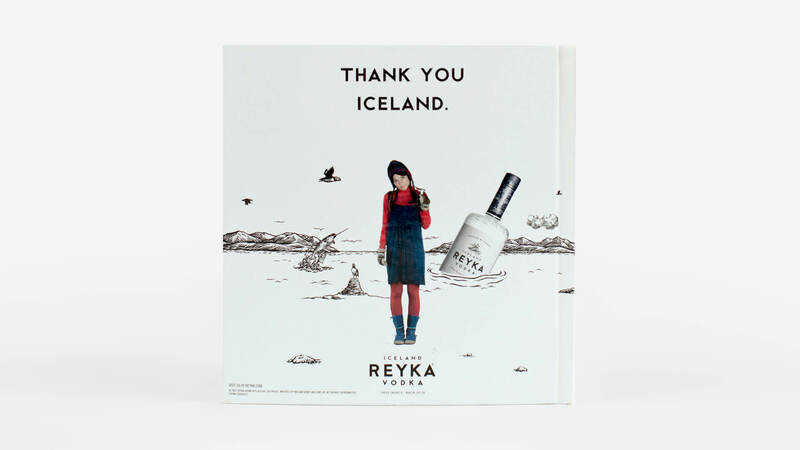 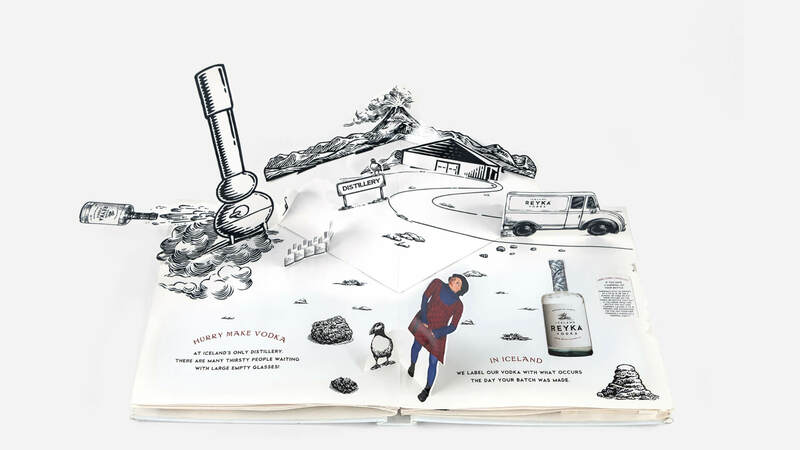 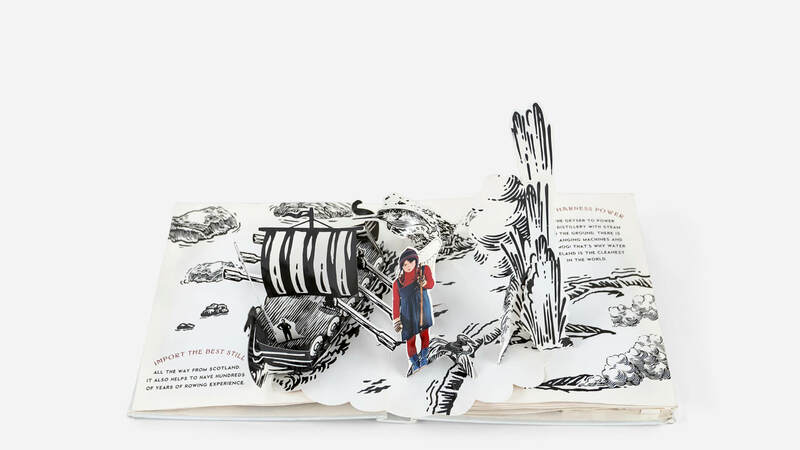 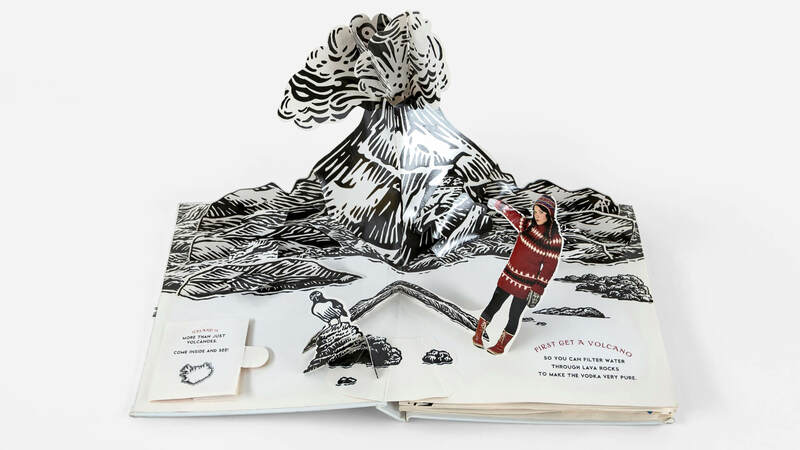 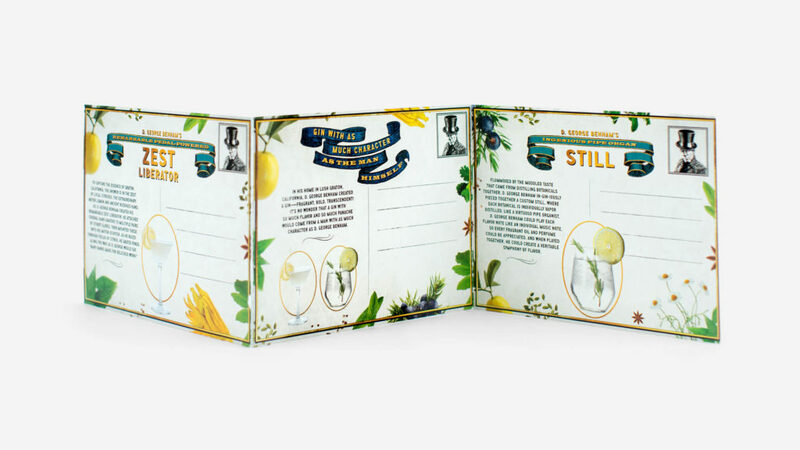 We activated Reyka’s brand world with a beautiful pop-up book: the perfect expression of a brand character that seamlessly fuses dry wit with a dash of wide-eyed wonder. 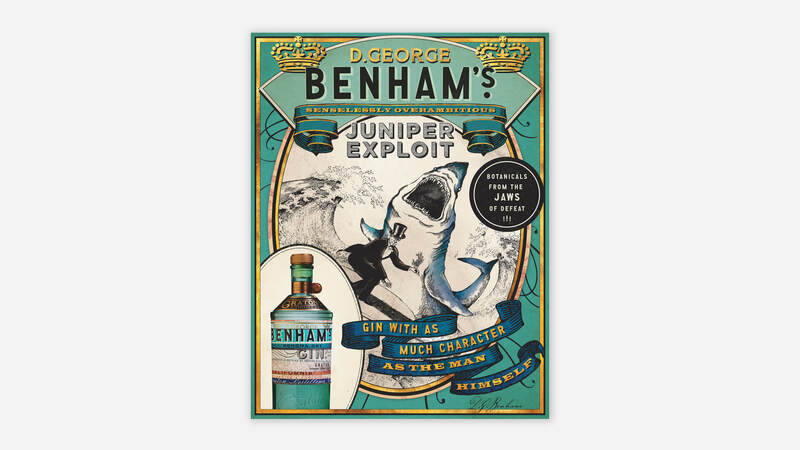 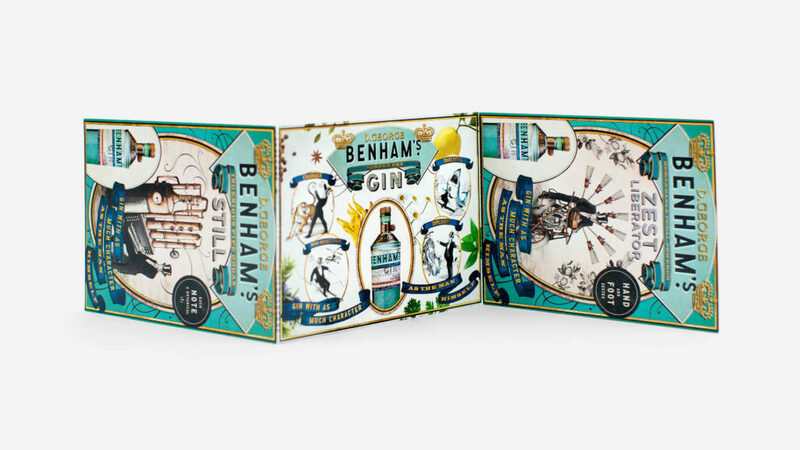 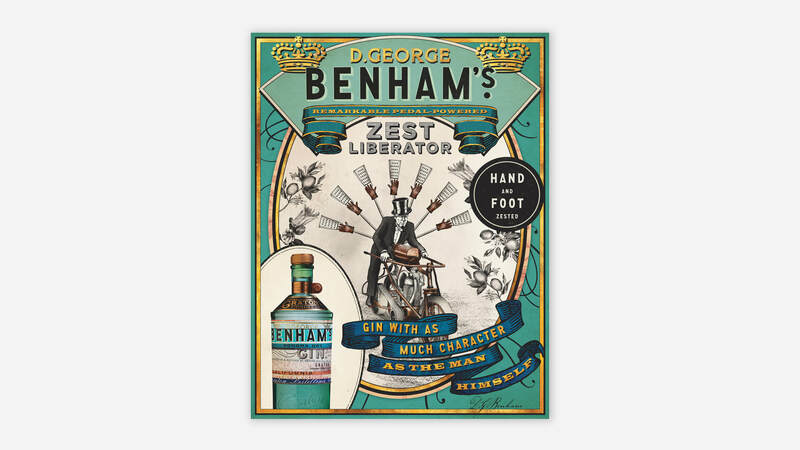 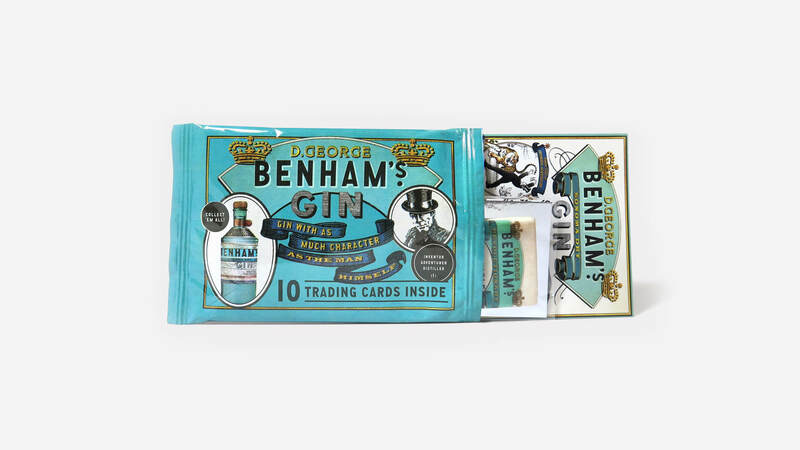 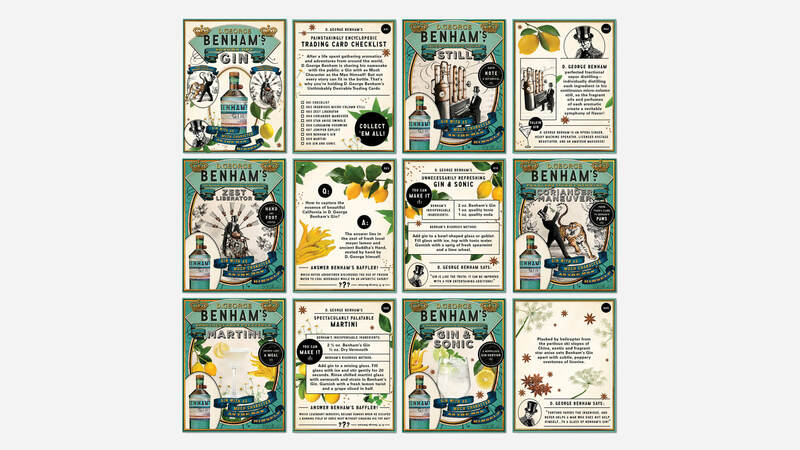 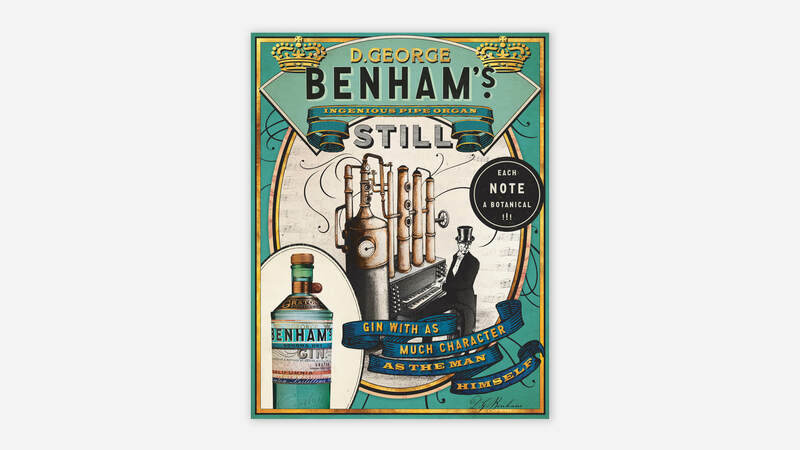 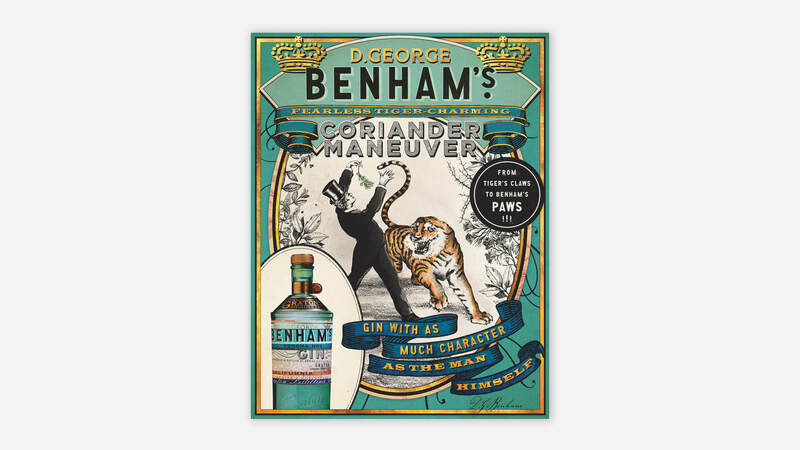 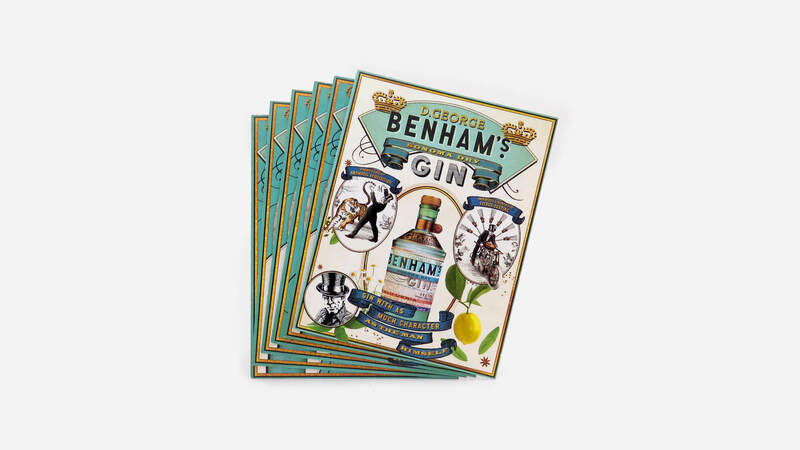 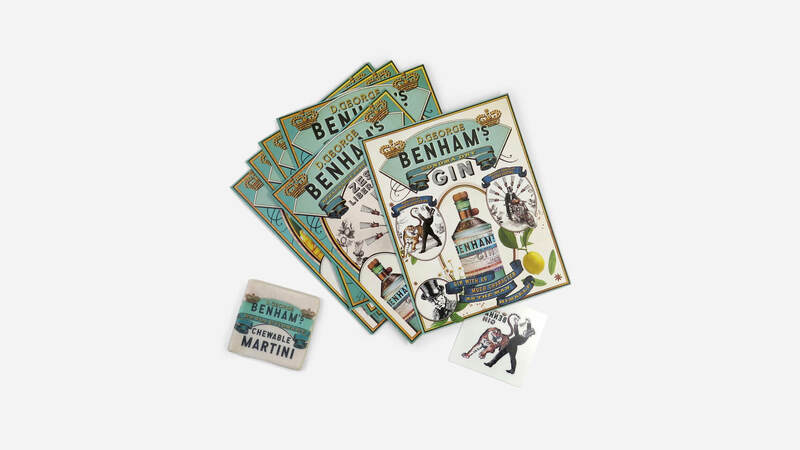 Our activations for Benham’s build on the rich storytelling and legend-building of our above-the-line communications. 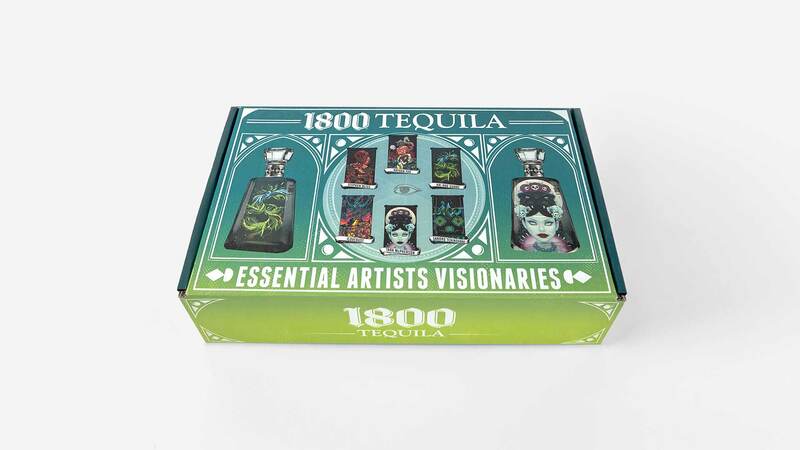 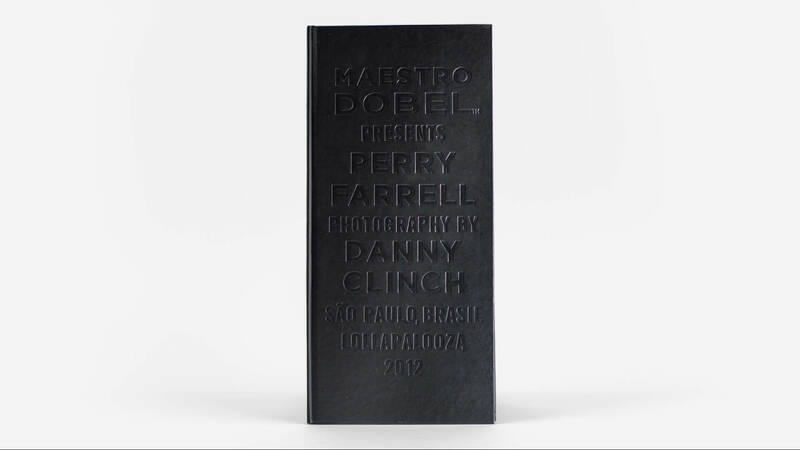 We sourced and directed over a dozen modern artists for this campaign that brought 1800 to the cutting edge of culture. 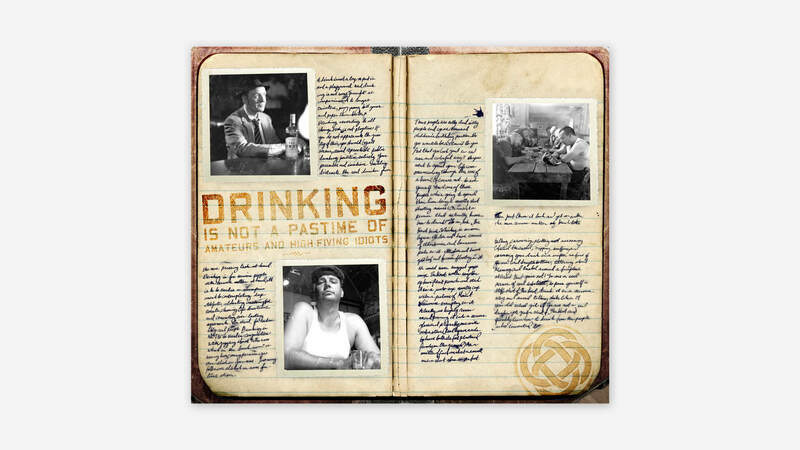 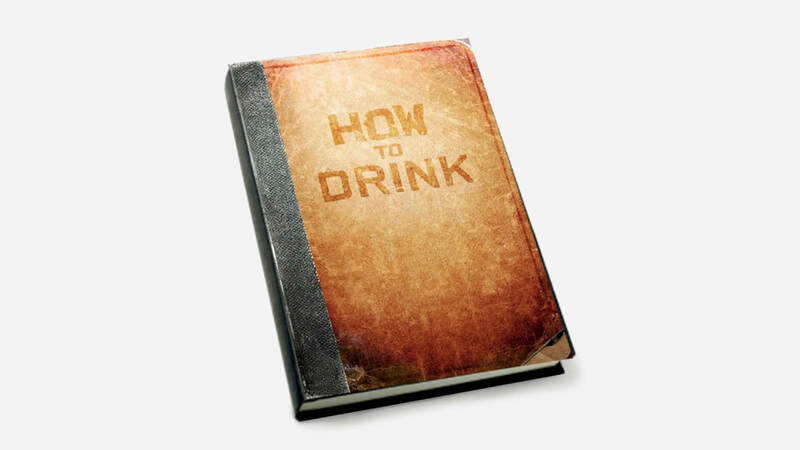 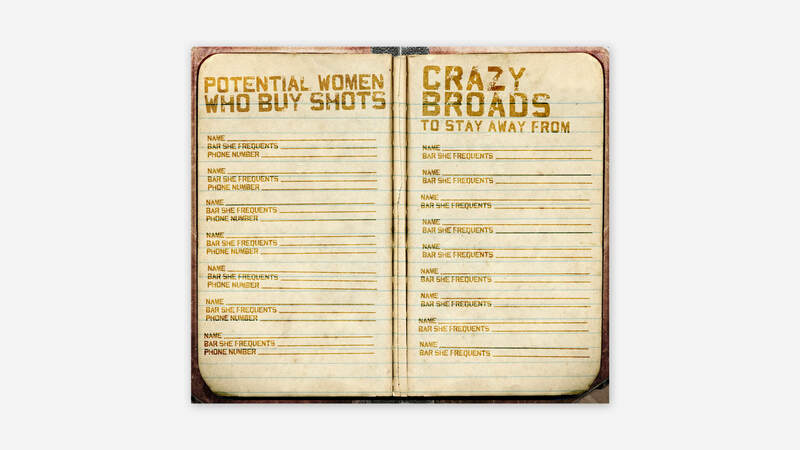 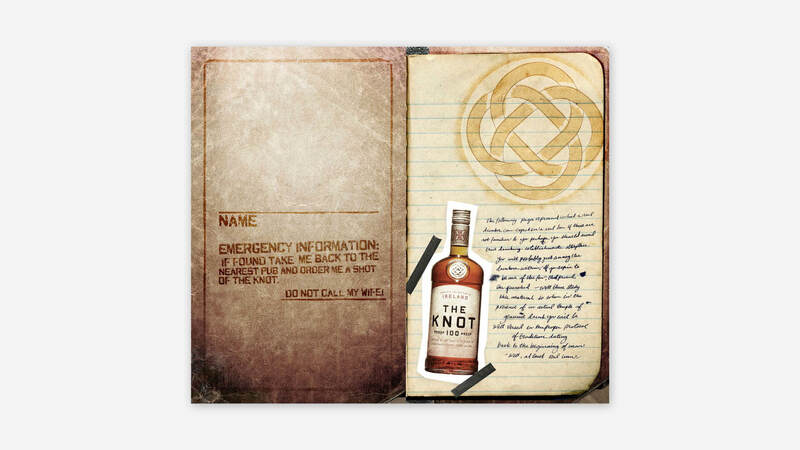 In the brand world of The Knot, the men know what to drink and how to do it — and they’re not shy about telling you so. 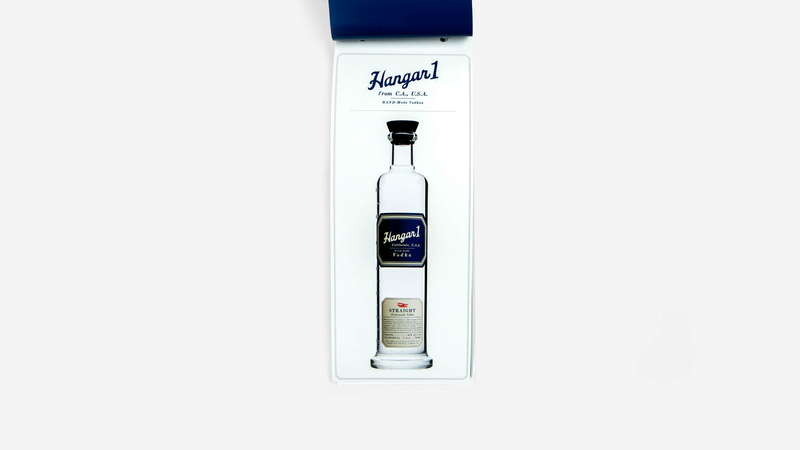 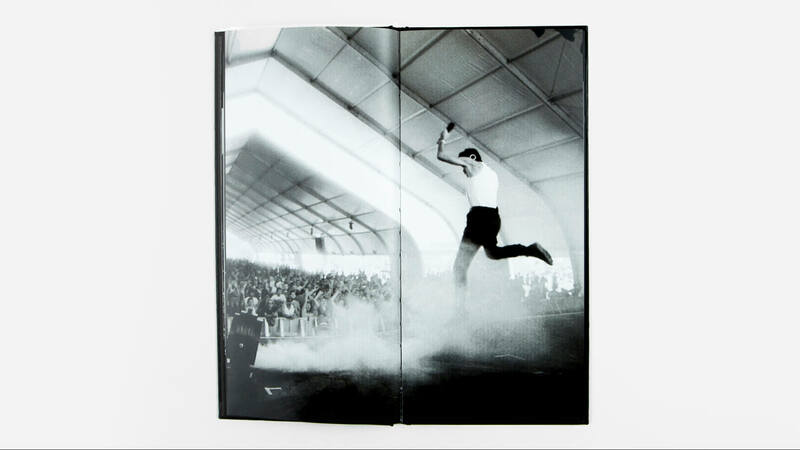 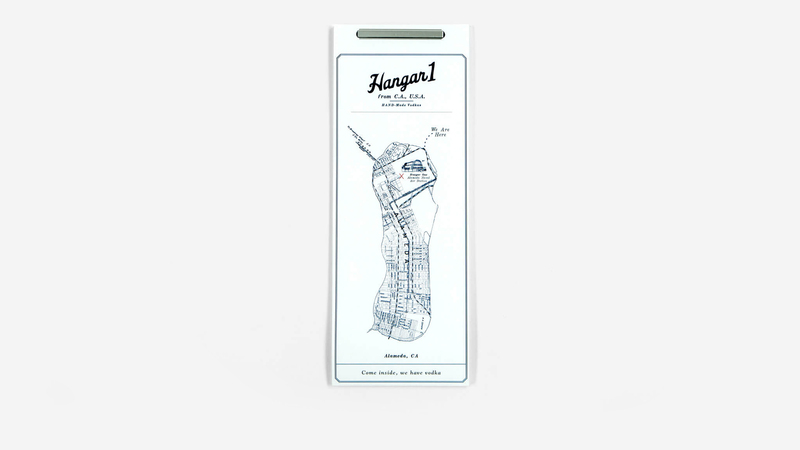 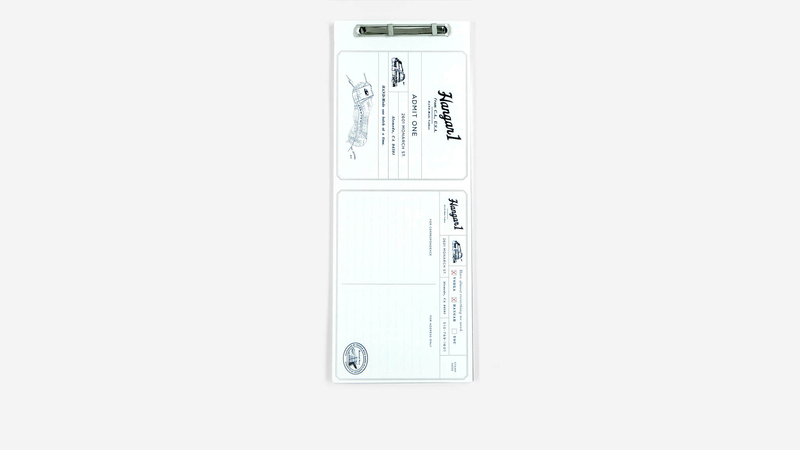 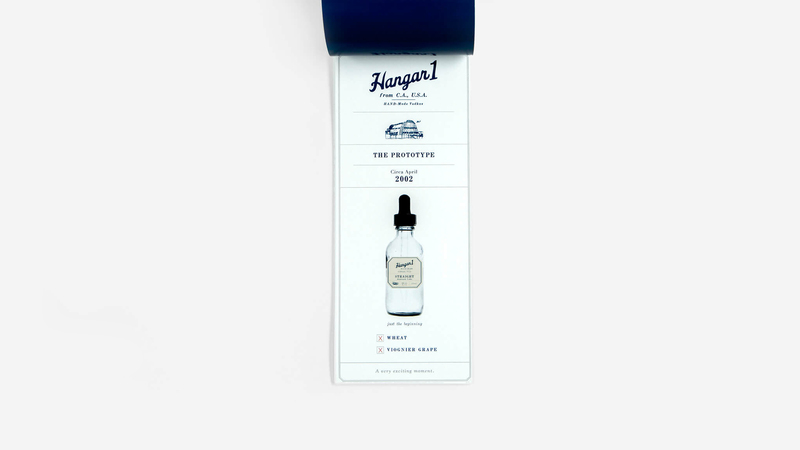 Targeted to press, trade and influencers, this activation established Hangar 1’s quirky tone of voice, hand-crafted ethos, and apothecarial look and feel. 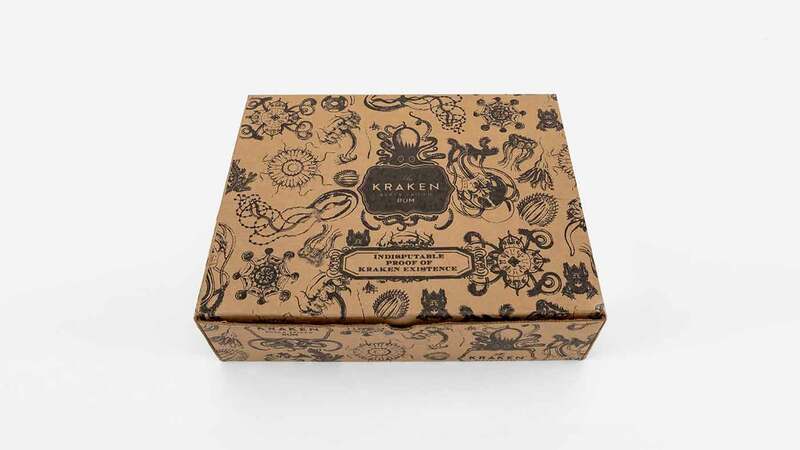 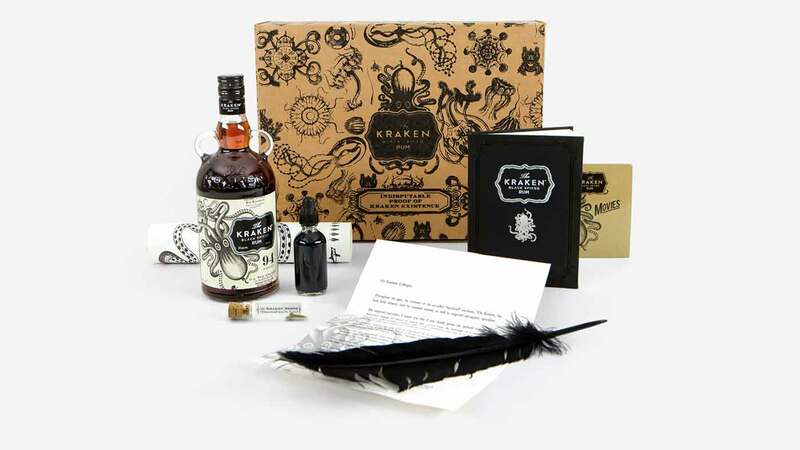 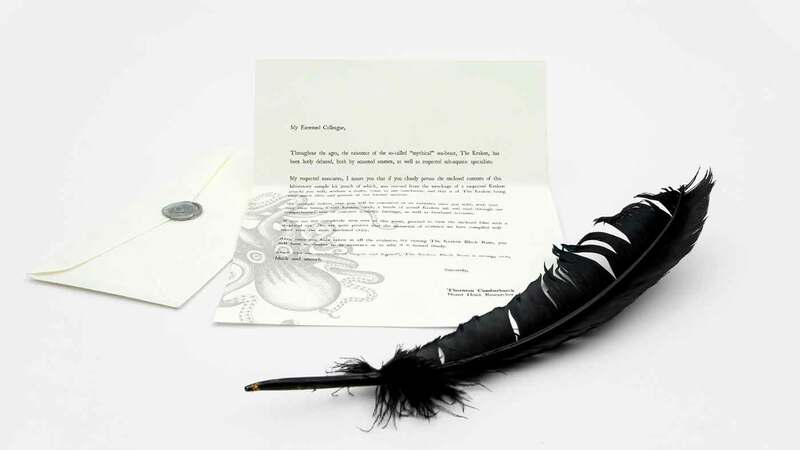 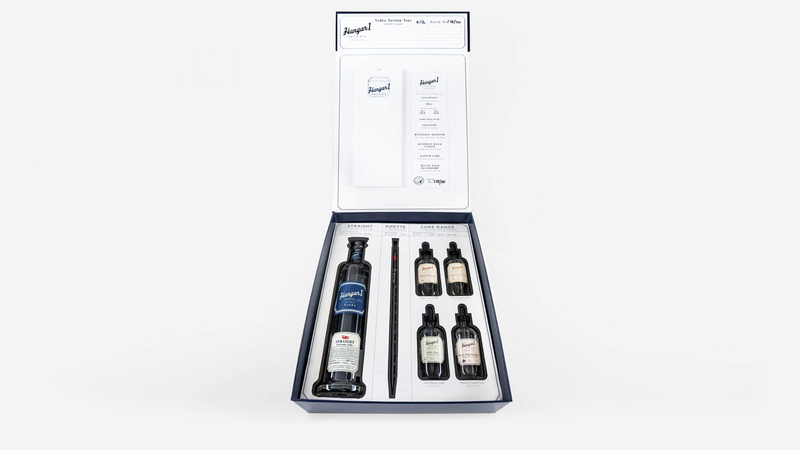 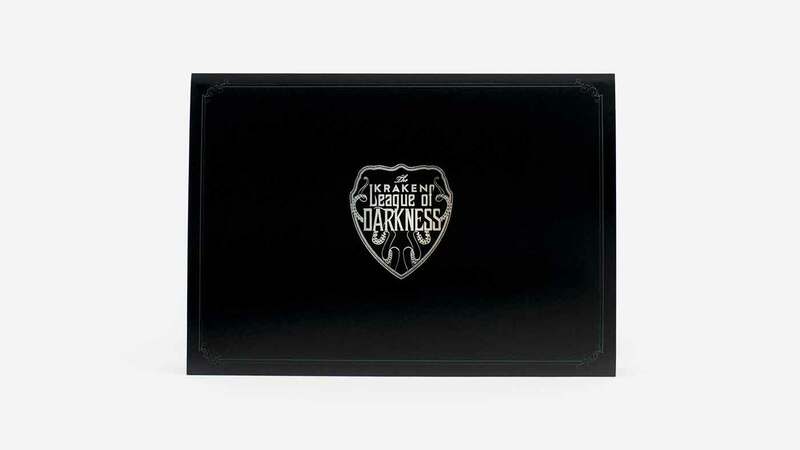 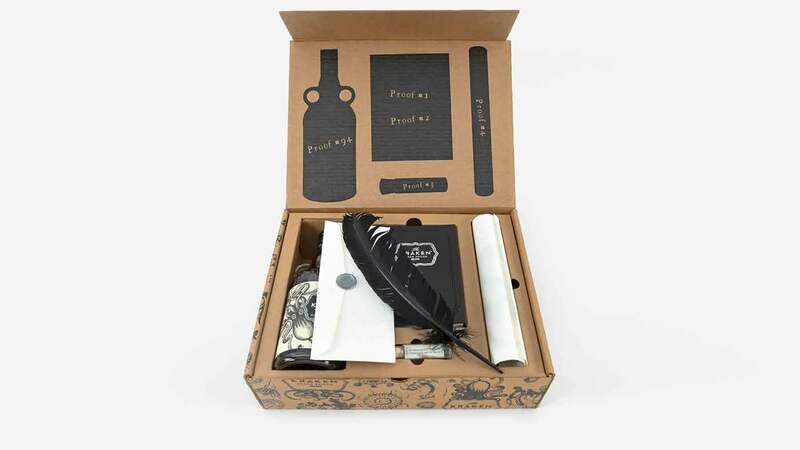 To launch The Kraken, we created this keepsake box and sent it to the press. 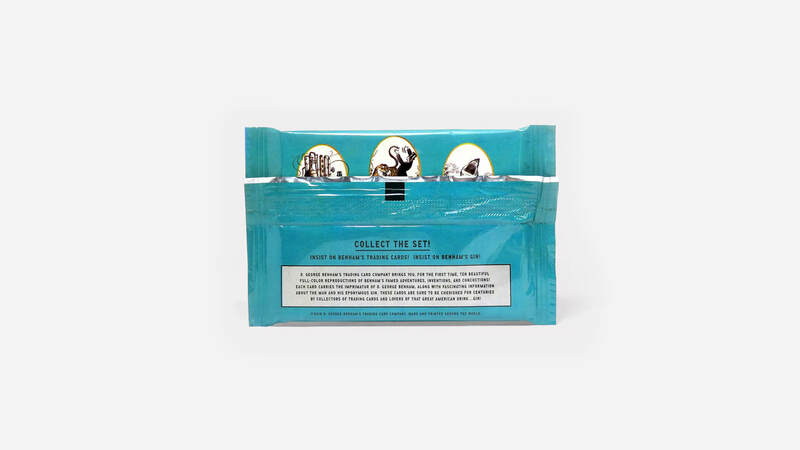 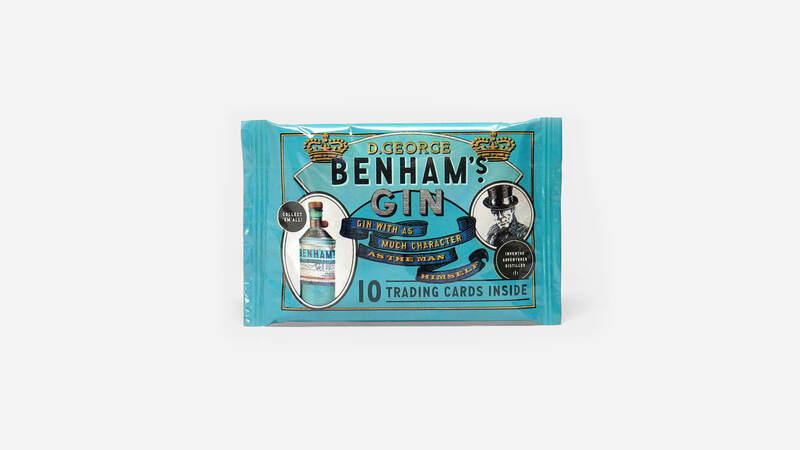 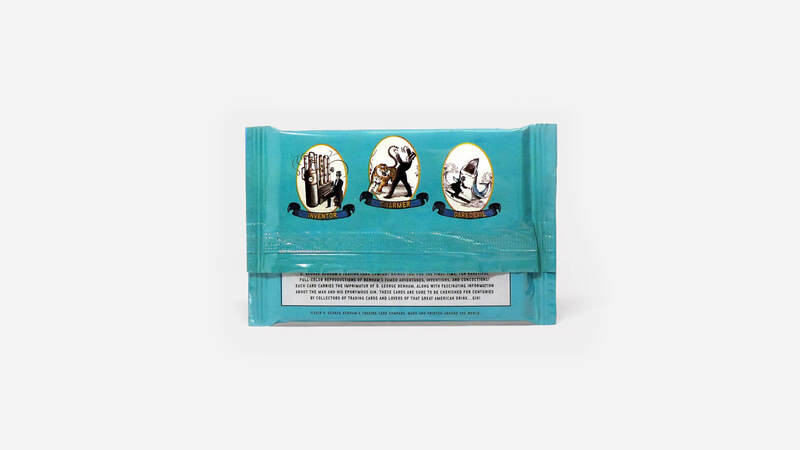 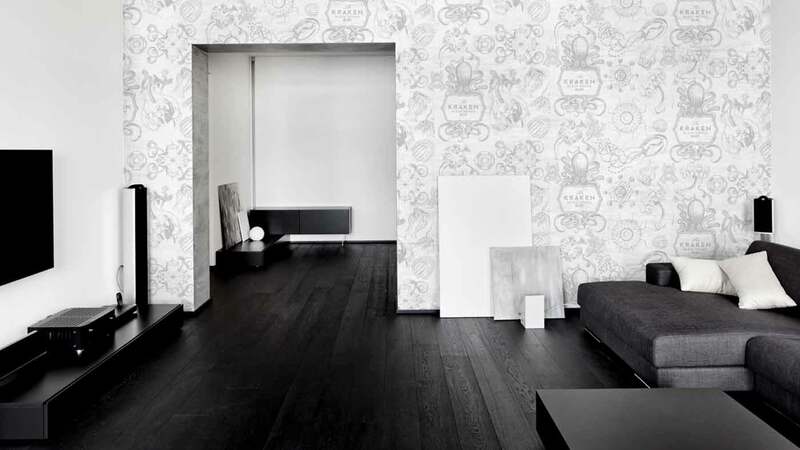 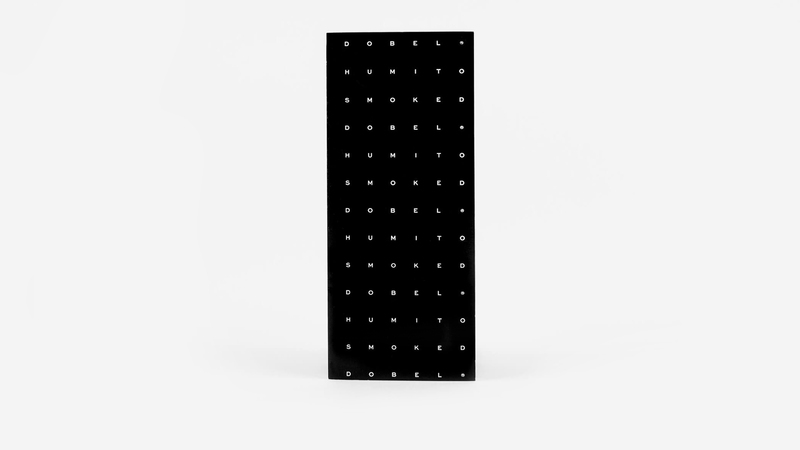 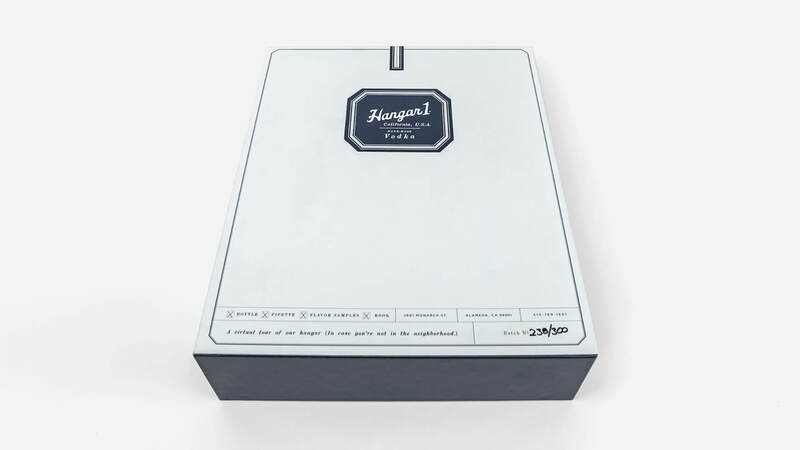 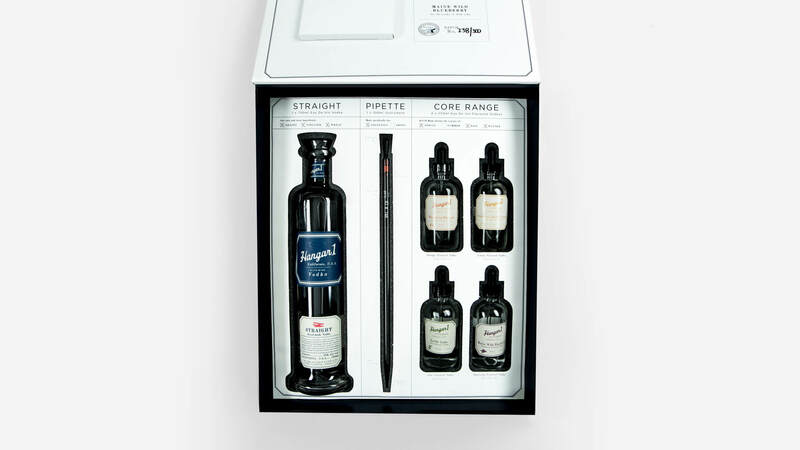 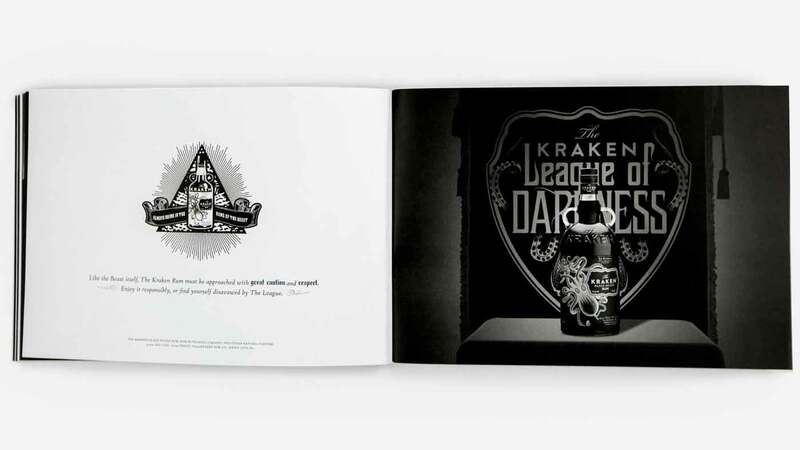 It got so much attention, the brand began selling them direct to consumers. 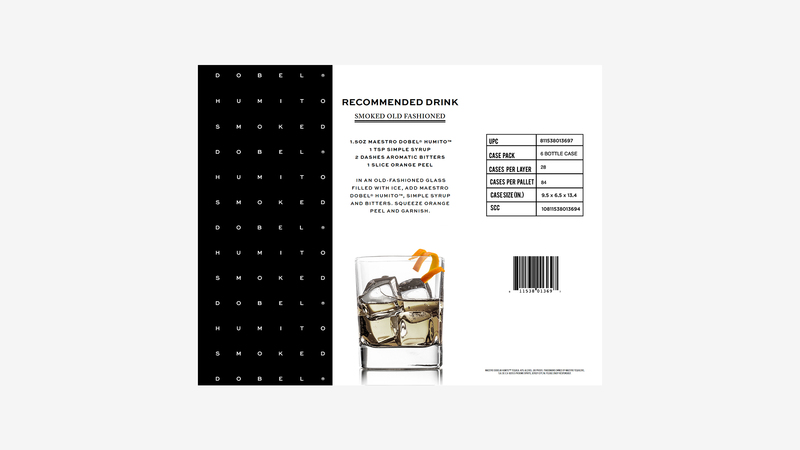 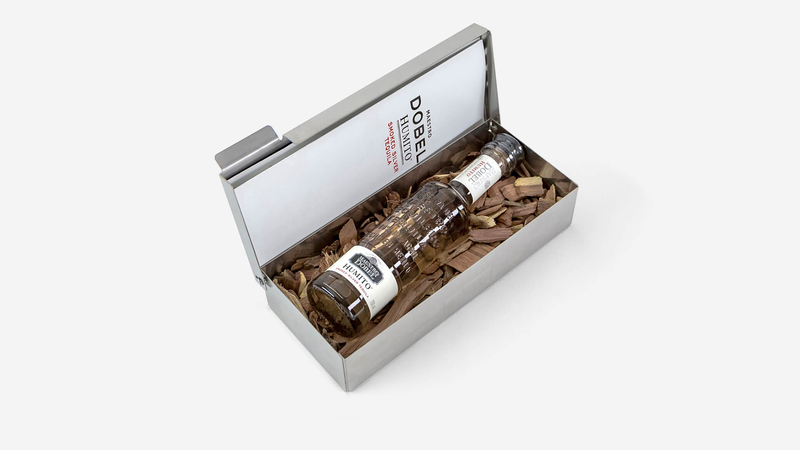 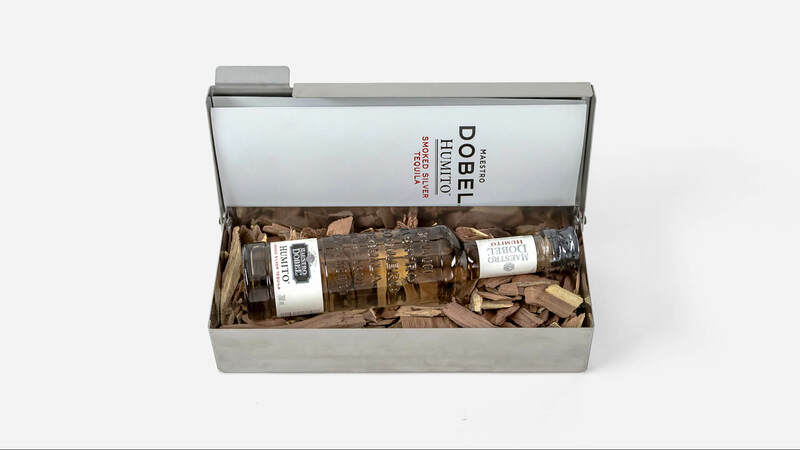 We activated the launch of Dobel’s mesquite variant with a bespoke gift served up inside a wood smoker. 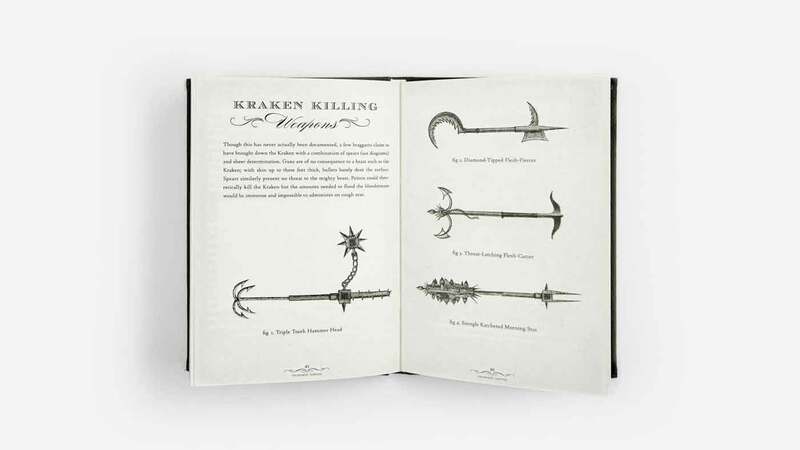 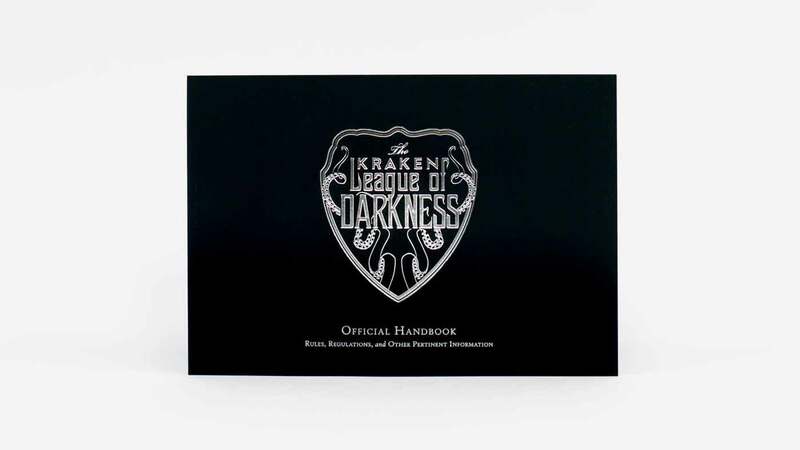 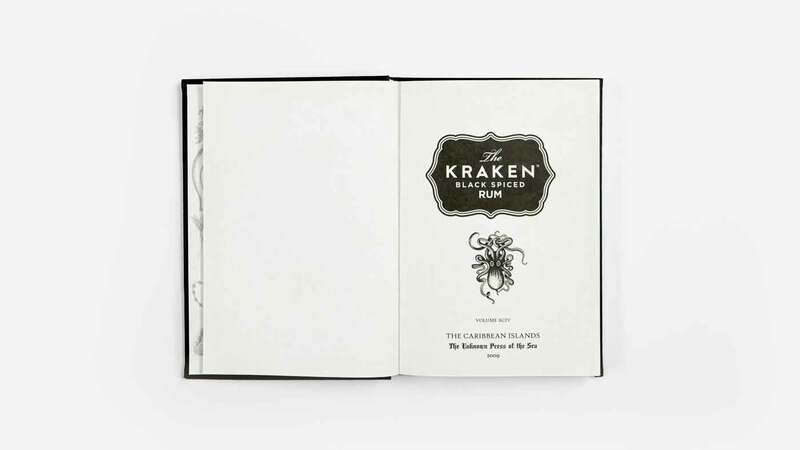 This 80-page tome recounts the Kraken legend in horrifying detail. 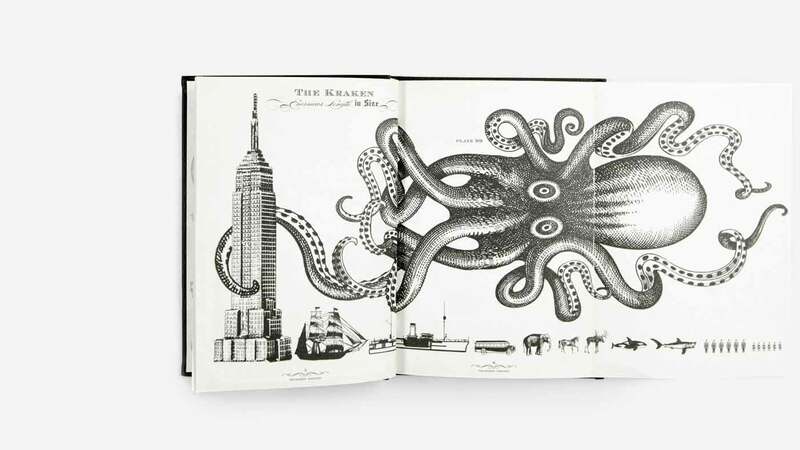 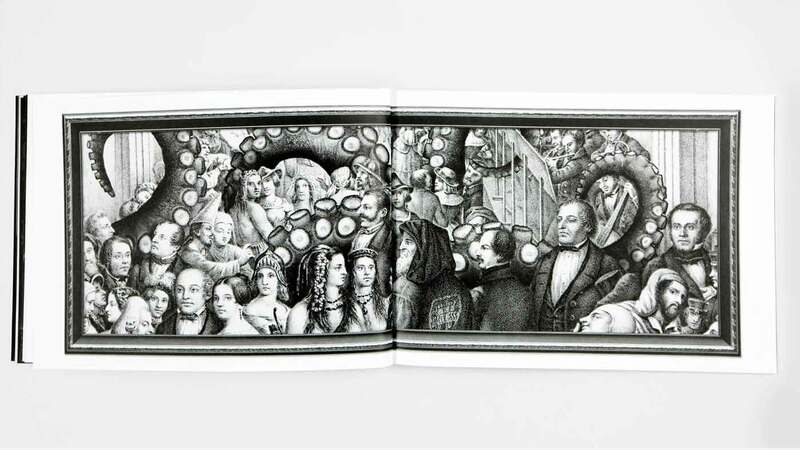 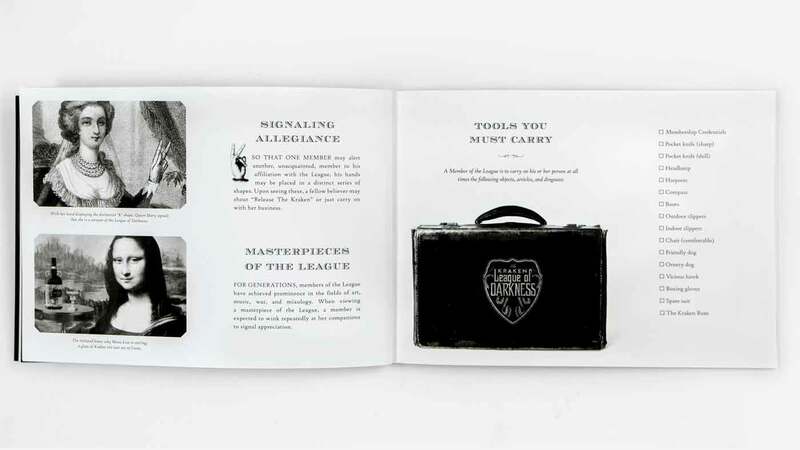 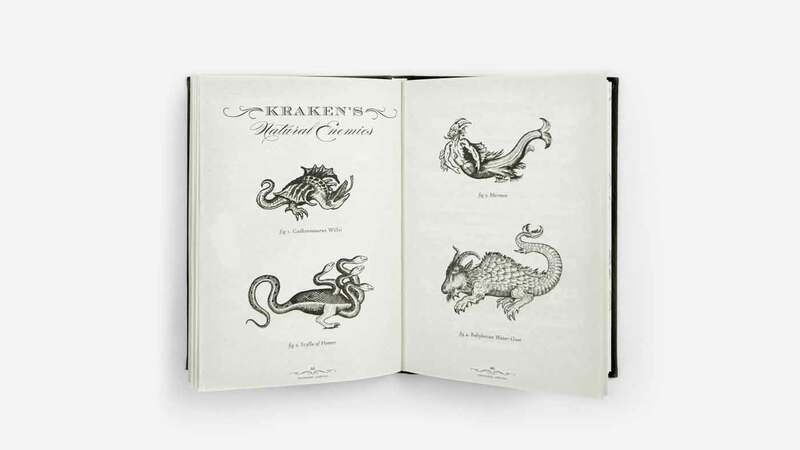 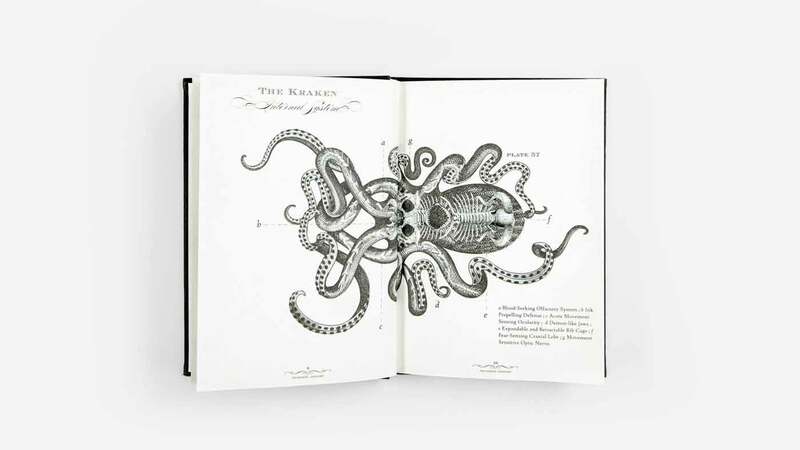 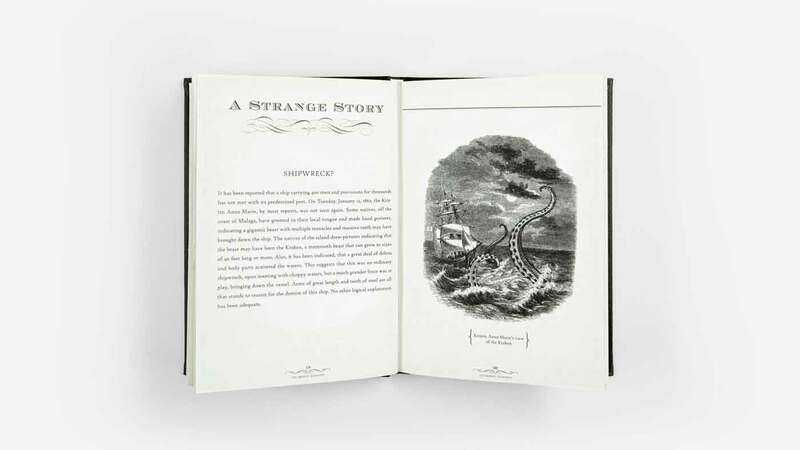 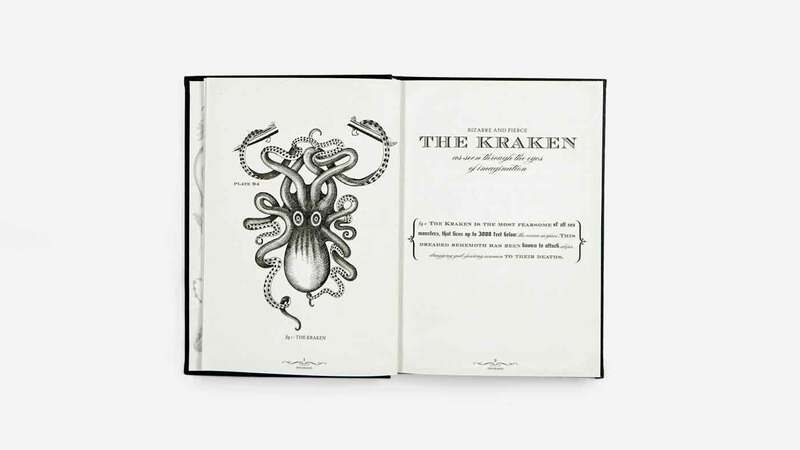 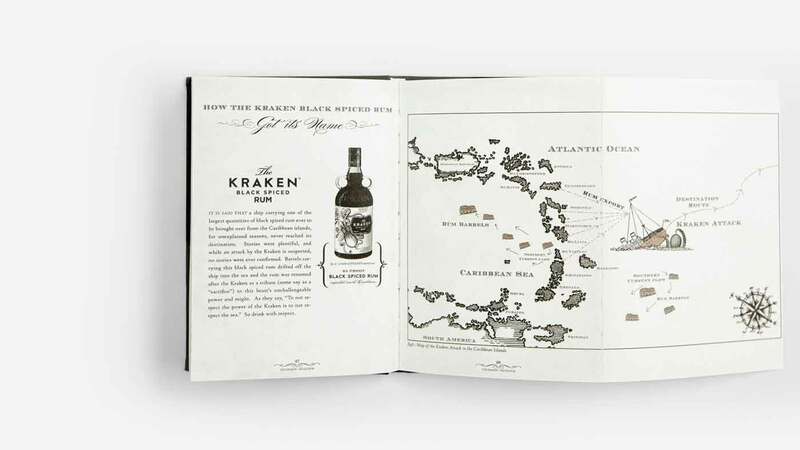 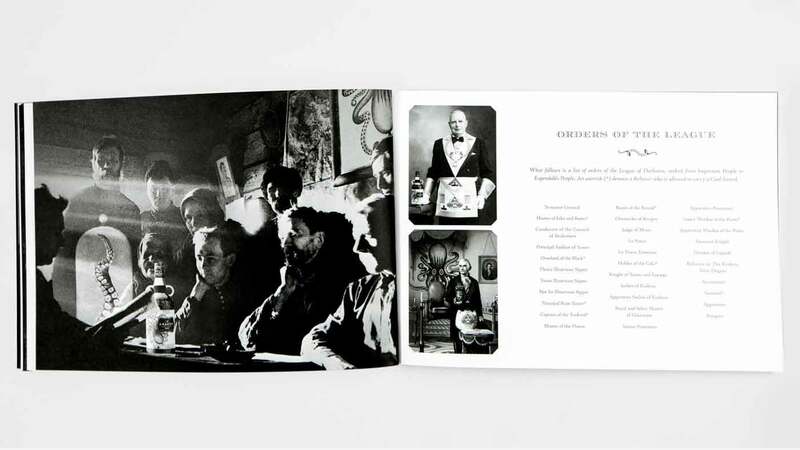 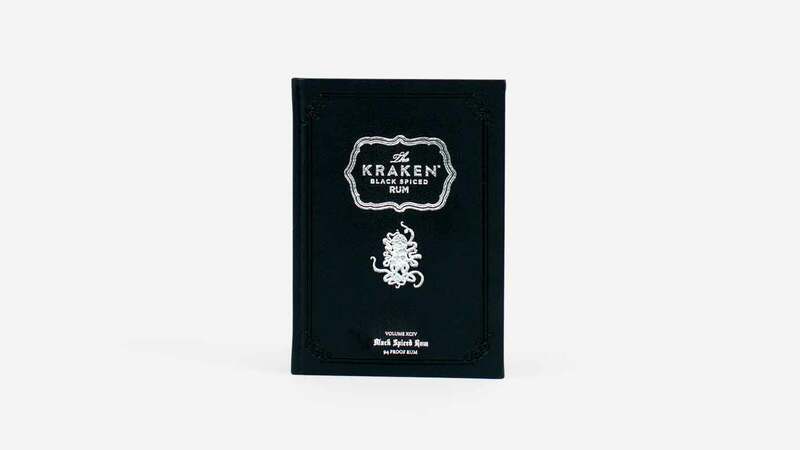 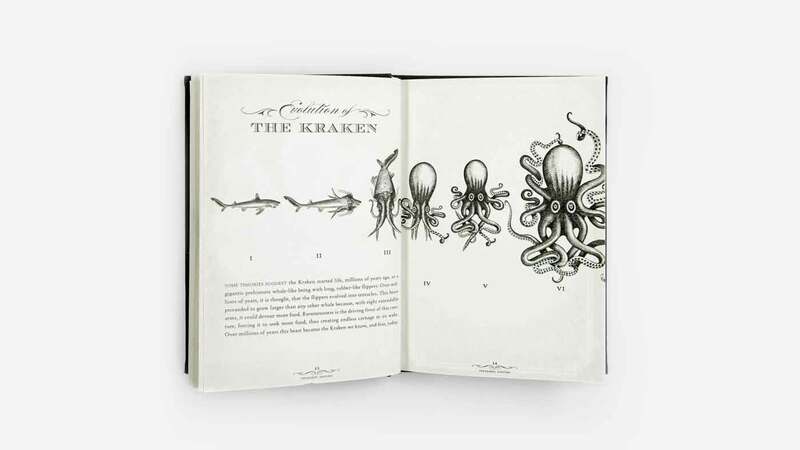 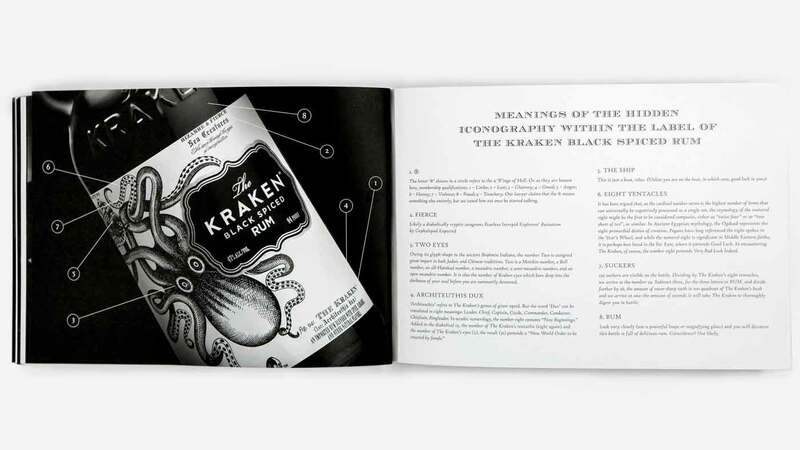 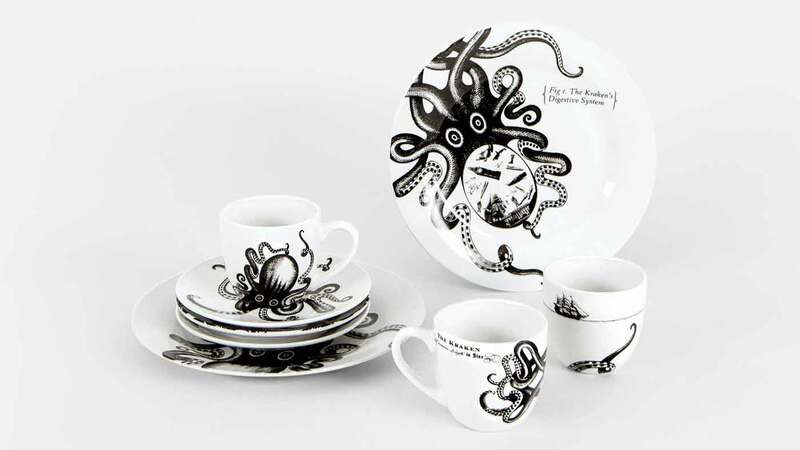 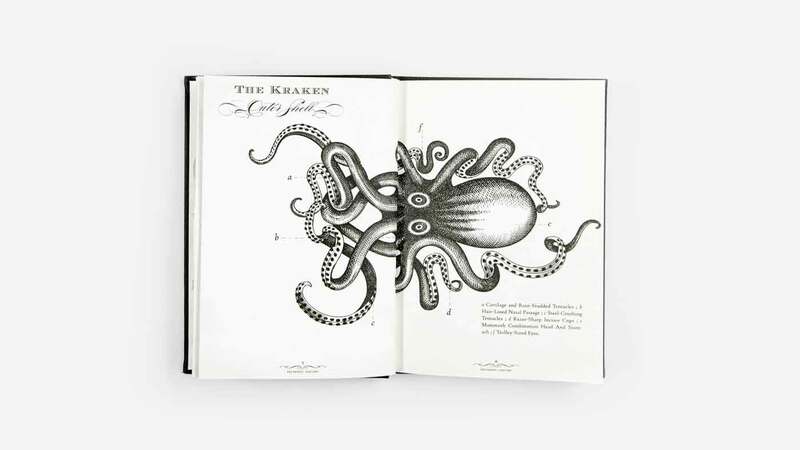 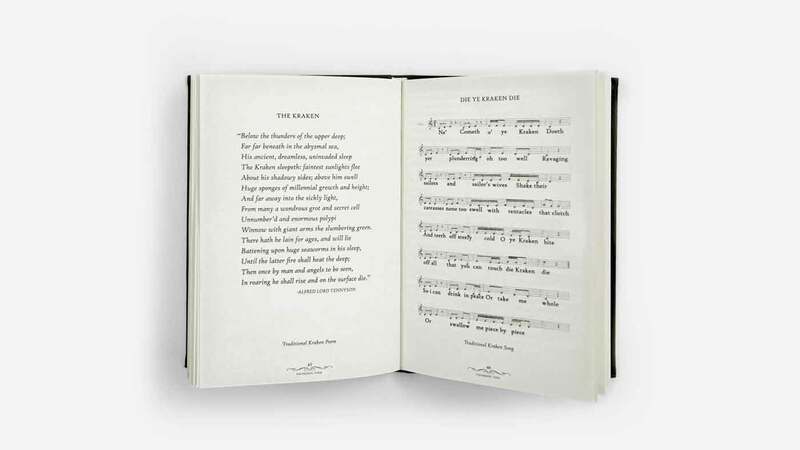 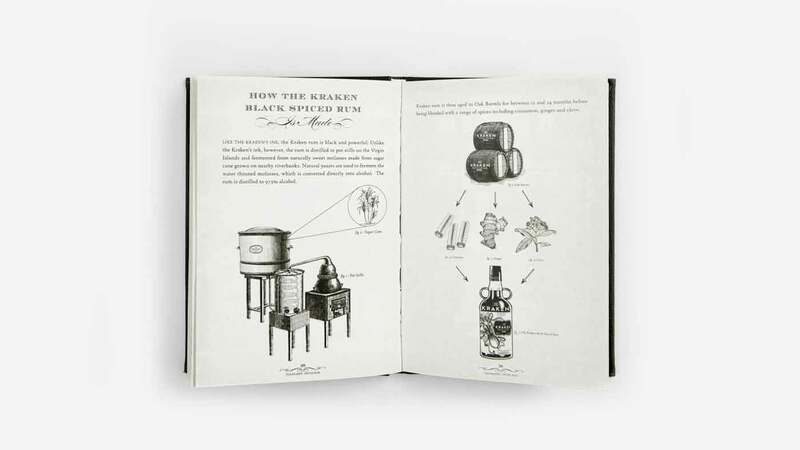 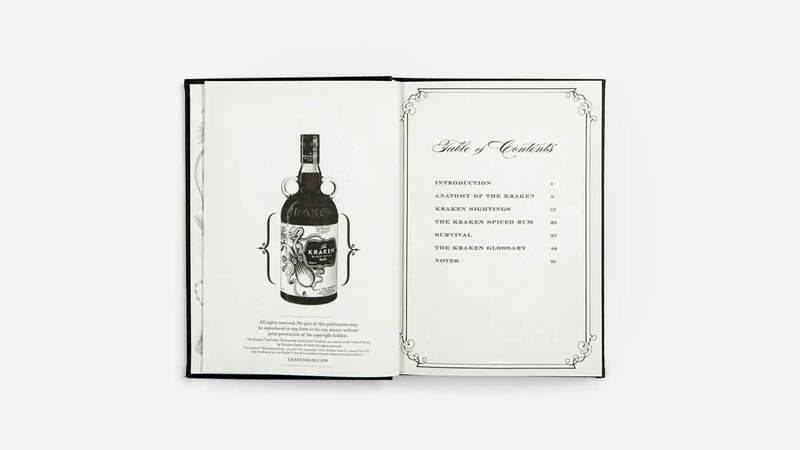 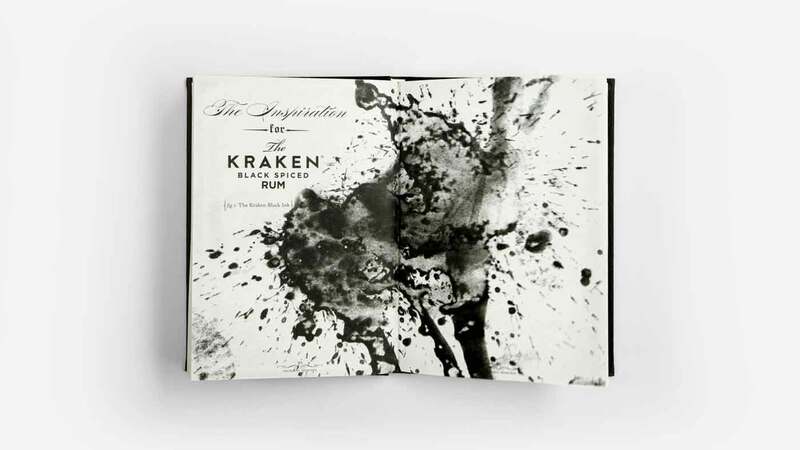 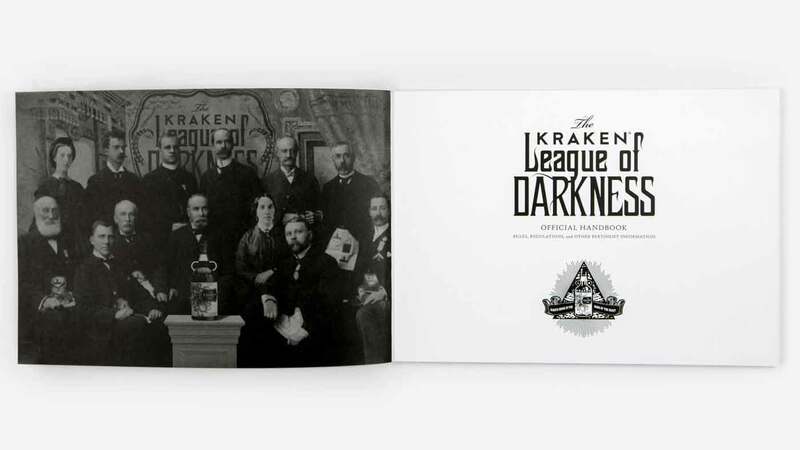 A decade after inclusion in the initial brand launch kit, The Kraken Book is still being sold to the public. 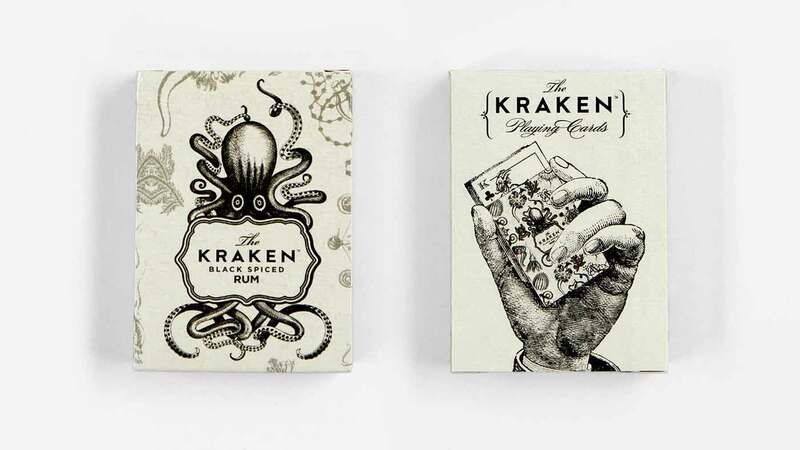 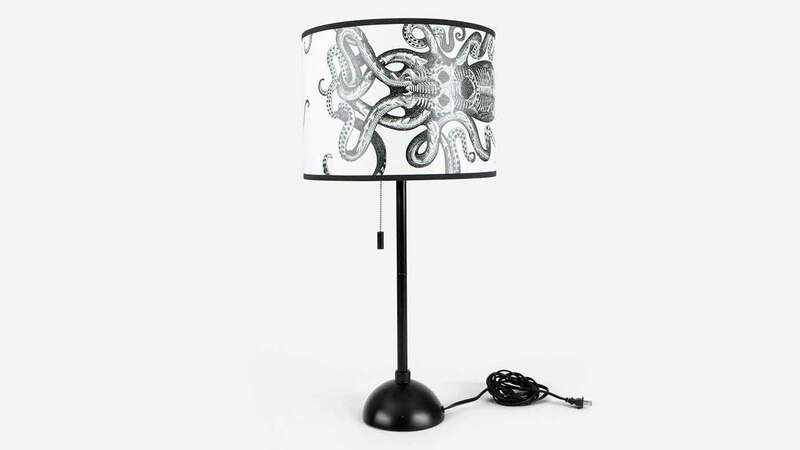 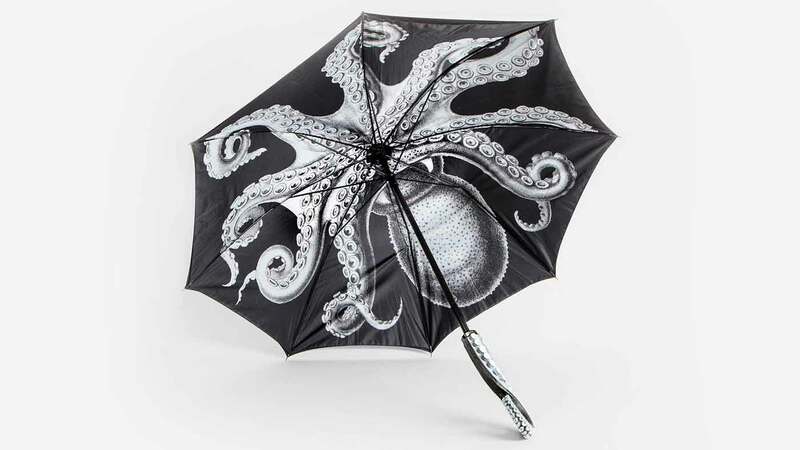 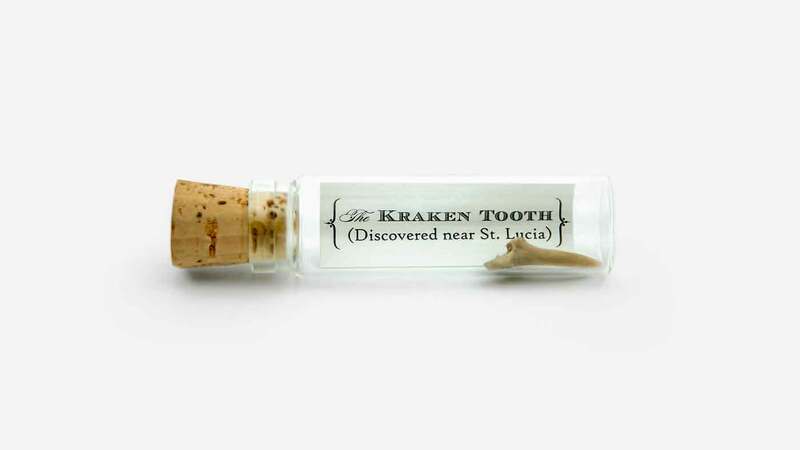 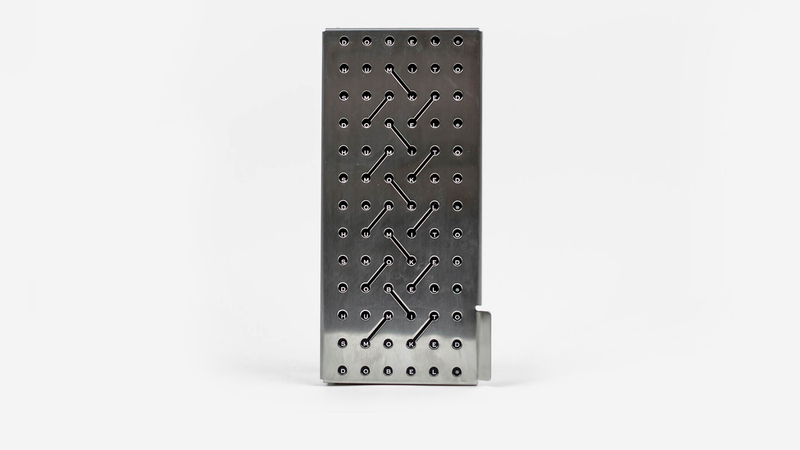 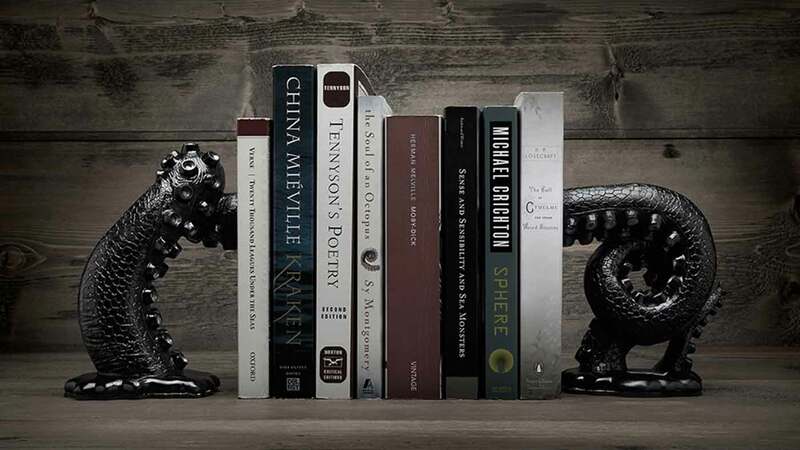 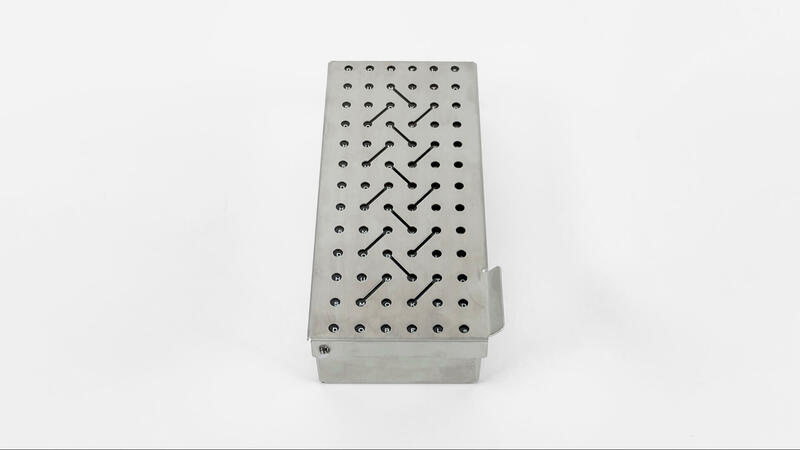 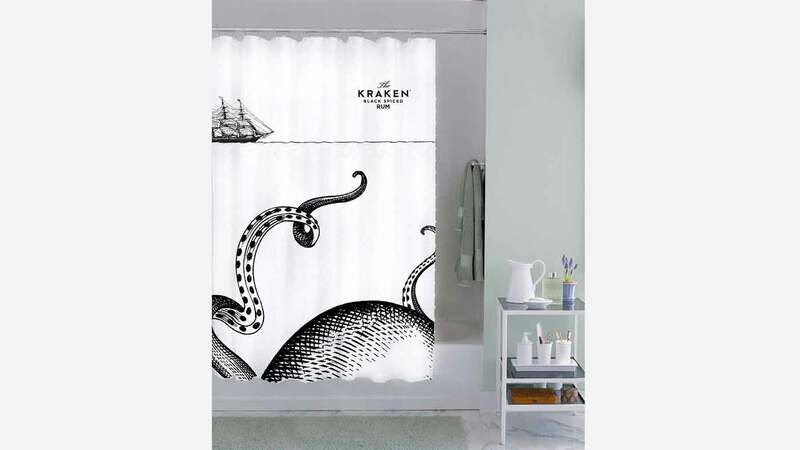 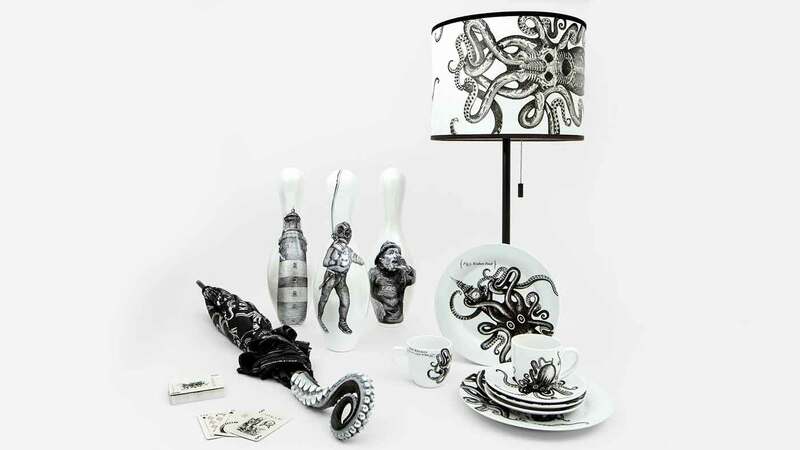 Our product line for The Kraken expands the brand world and embraces the unexpected. 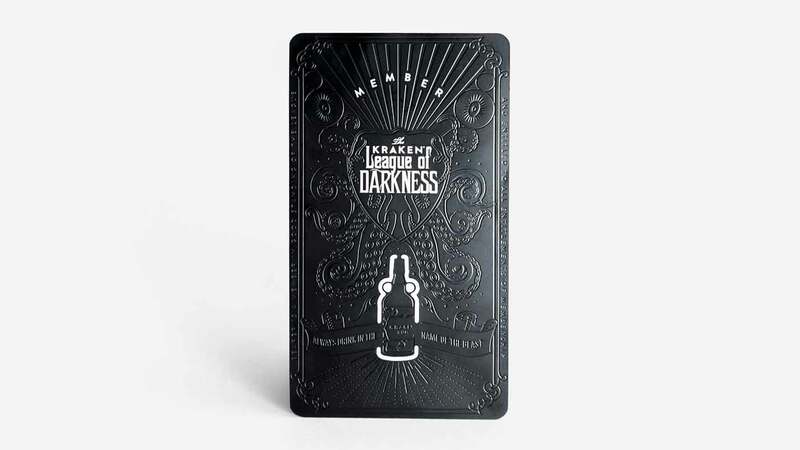 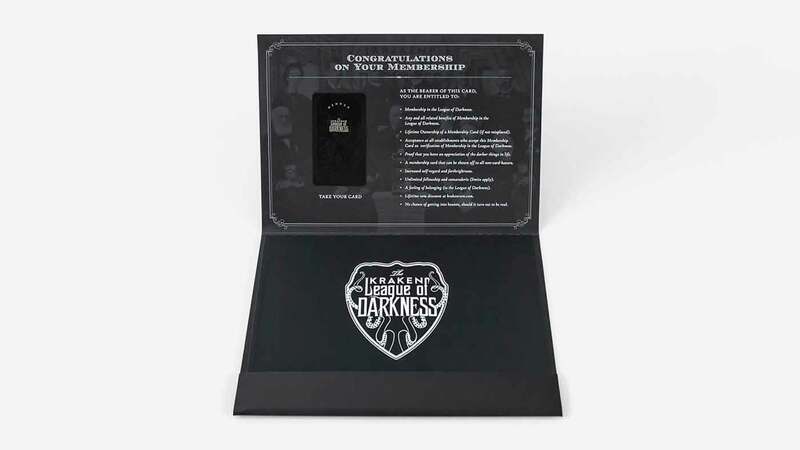 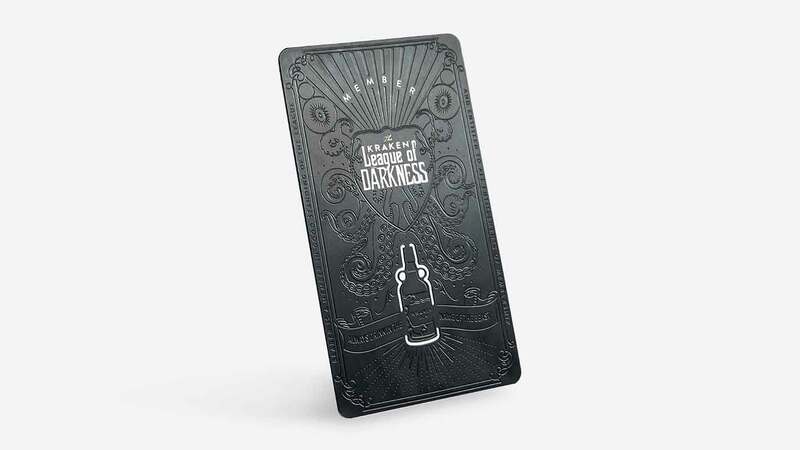 Less a loyalty program than a nefarious secret society, The League of Darkness reached 10,000 members in its first six months. 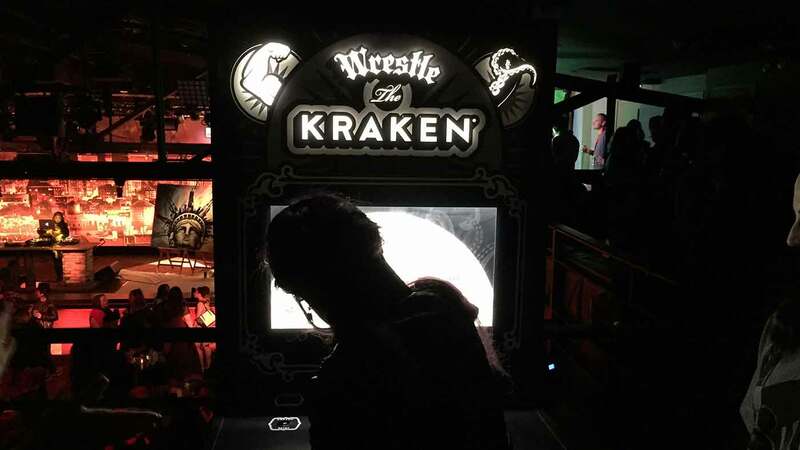 We refurbished a series of vintage arcade cabinets to let consumers reach out and touch The Kraken – and reinforced the core brand story of STRENGTH in the bargain.